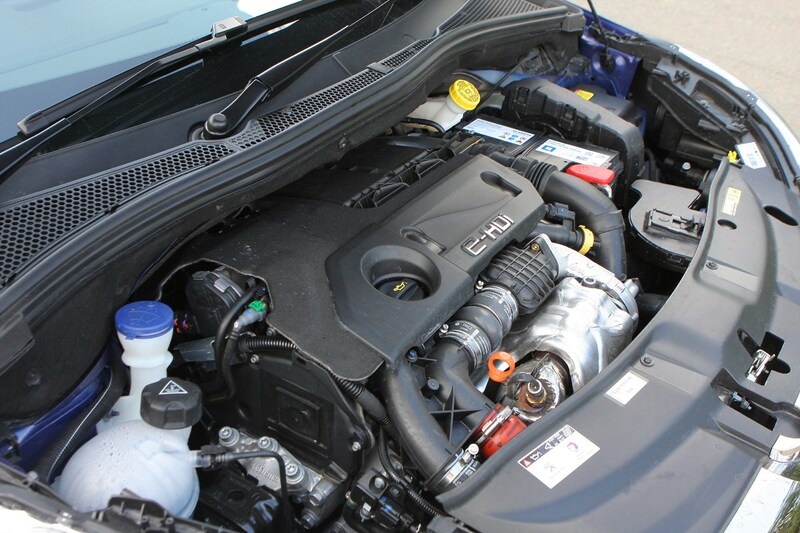 Insurance group: 8 - 23 How much is it to insure? 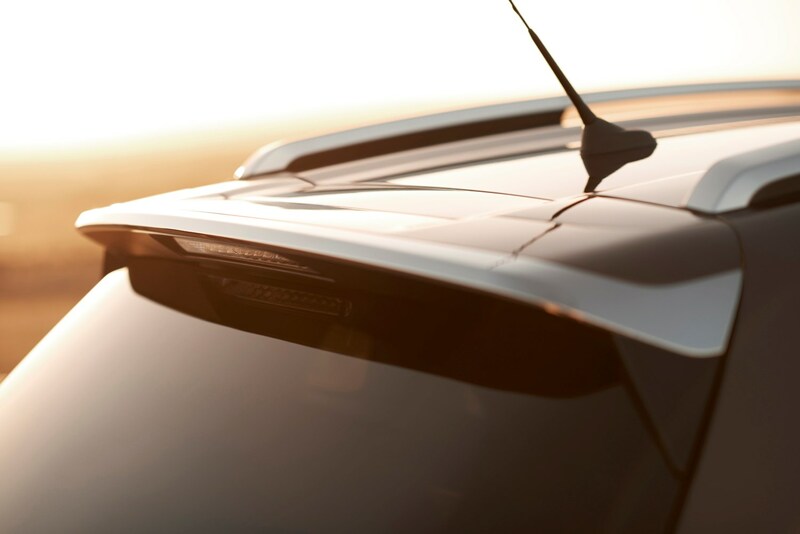 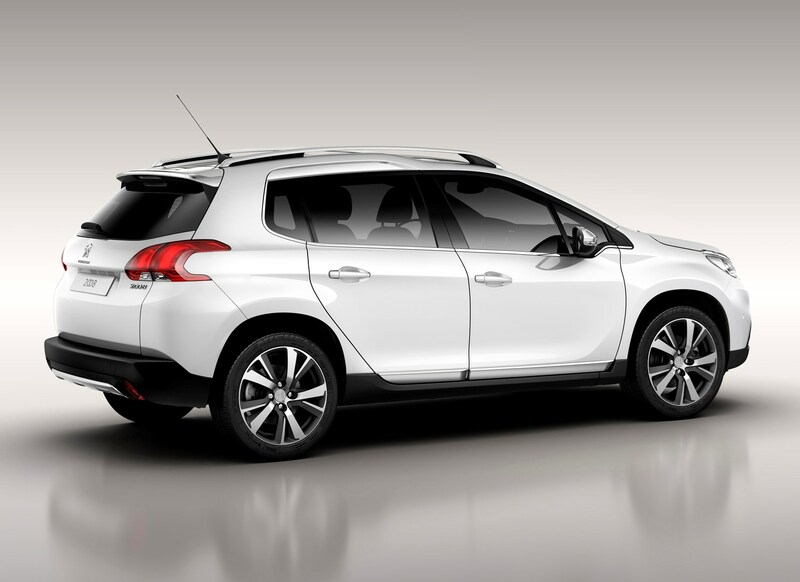 The all new Peugeot 2008 is bigger (25mm wider, 200mm longer and 96mm taller) than the 208 it’s based on, rides 165mm higher and comes complete with pseudo 4x4 bodystyling. 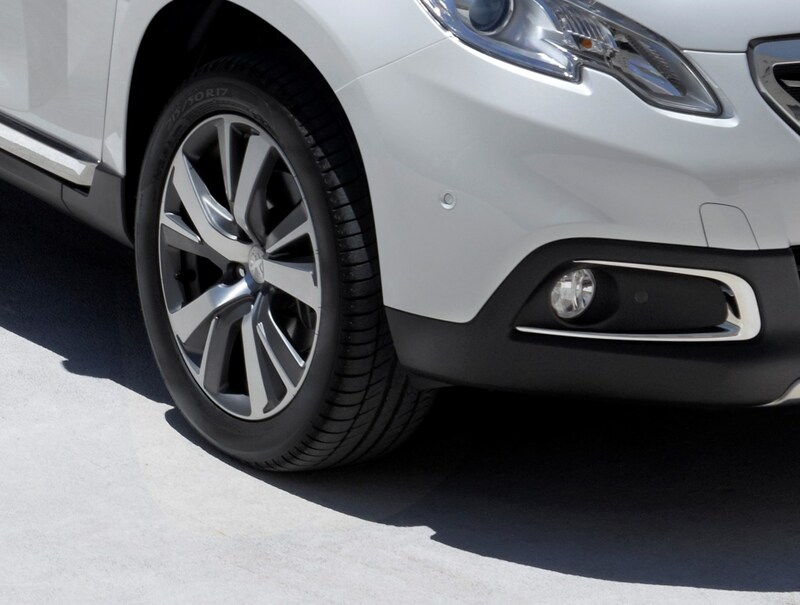 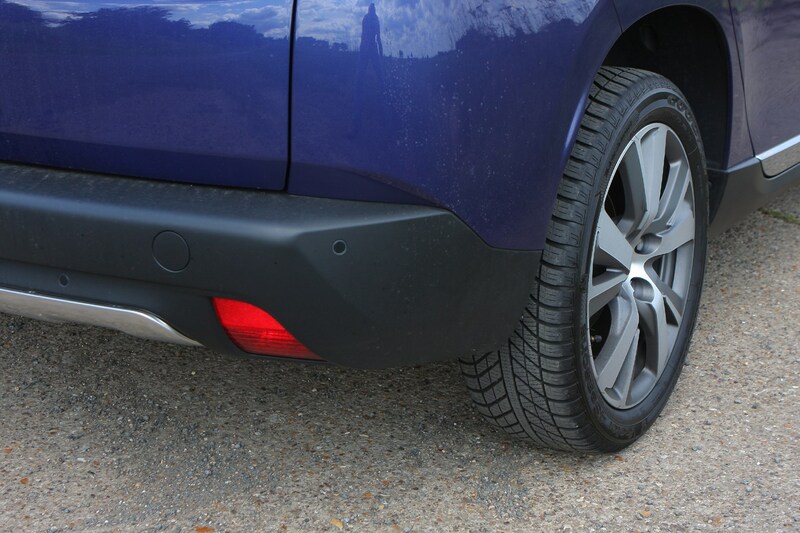 Skid plates front and rear supplement more aggressively-styled alloy wheels, either in 16 or 17-inch sizes, sitting beneath squared-off wheelarches. 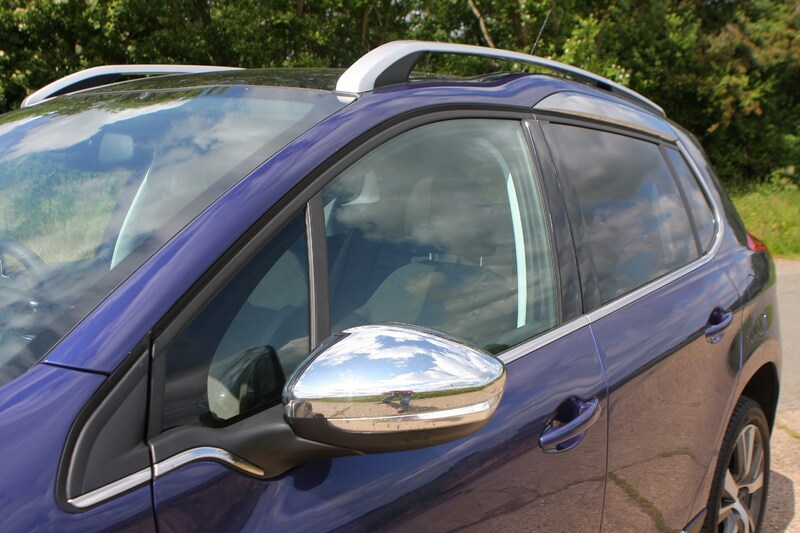 A kink in the roof above the rear door evokes memories of an early Land Rover Discovery, though it embellishes the space with chrome rather than glass. 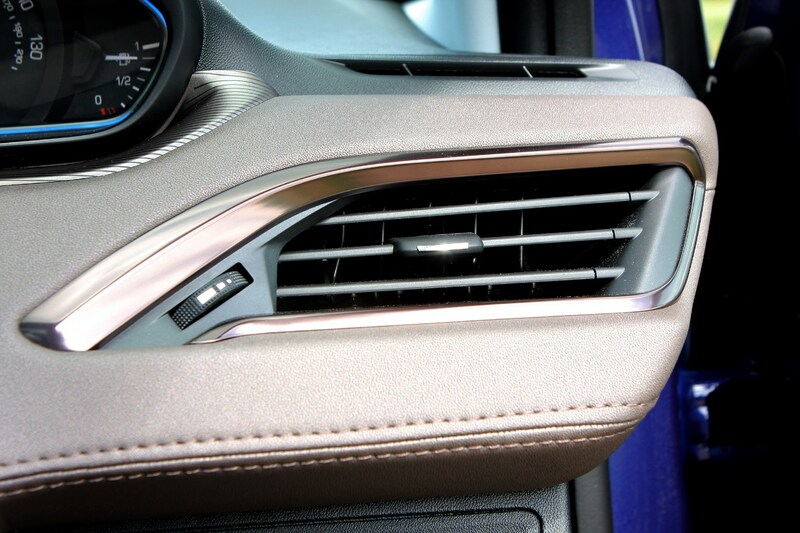 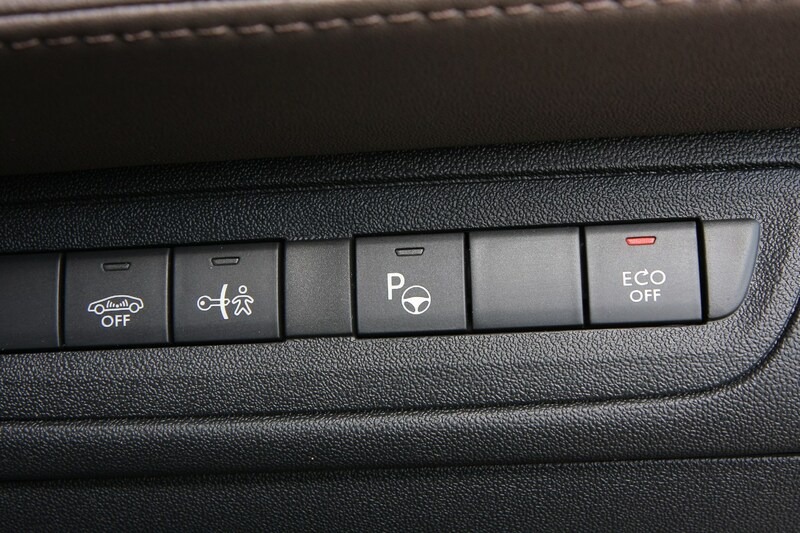 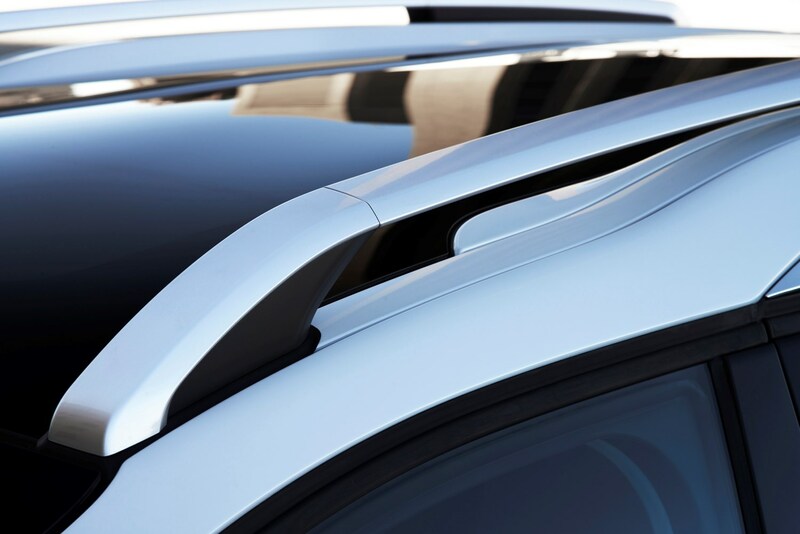 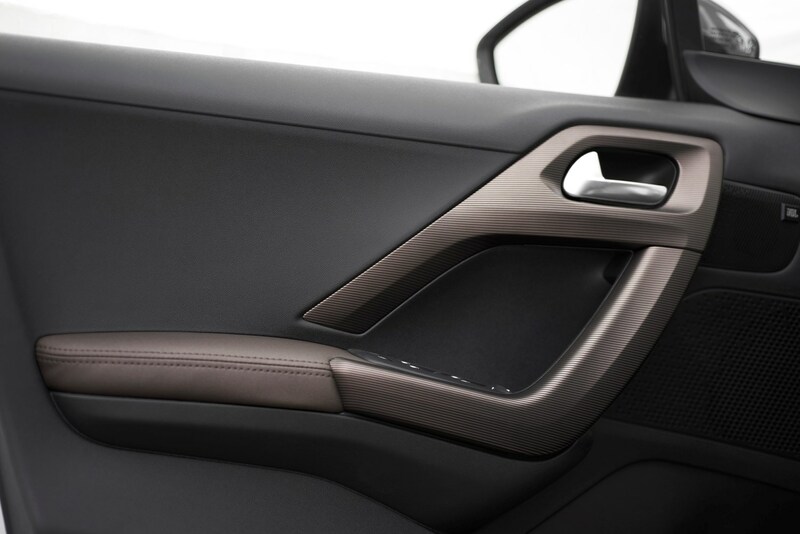 It’s a material used throughout the car’s exterior. 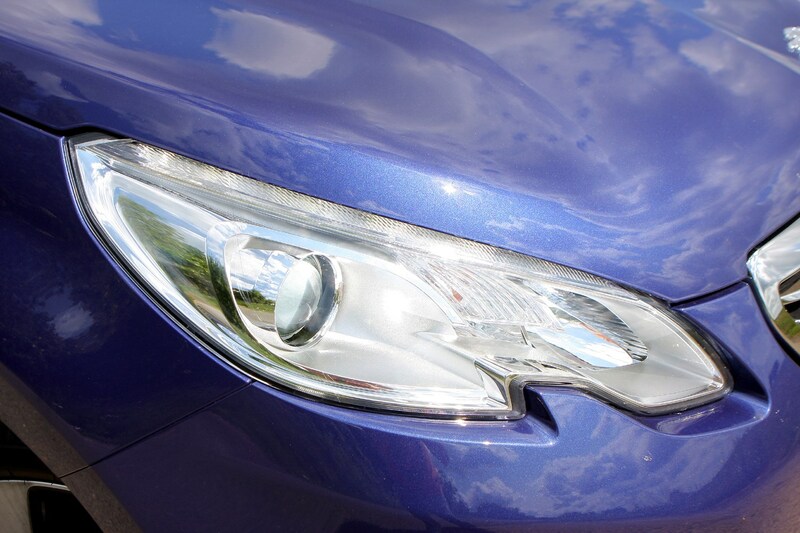 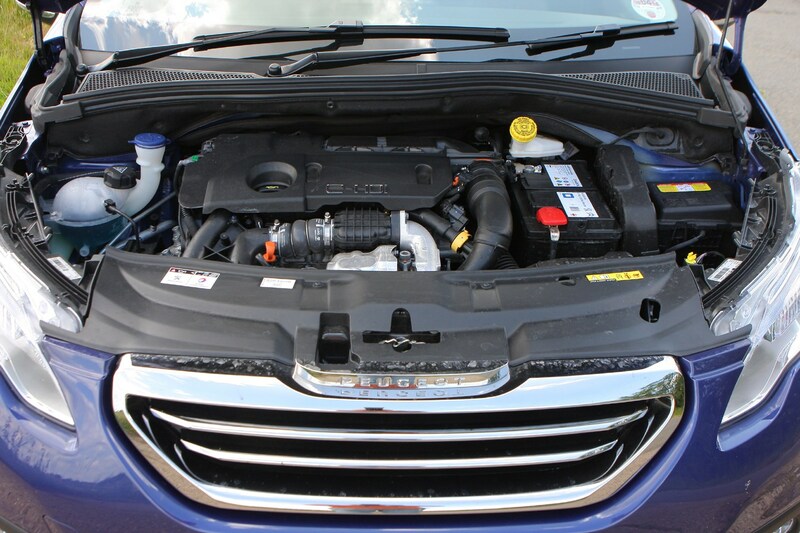 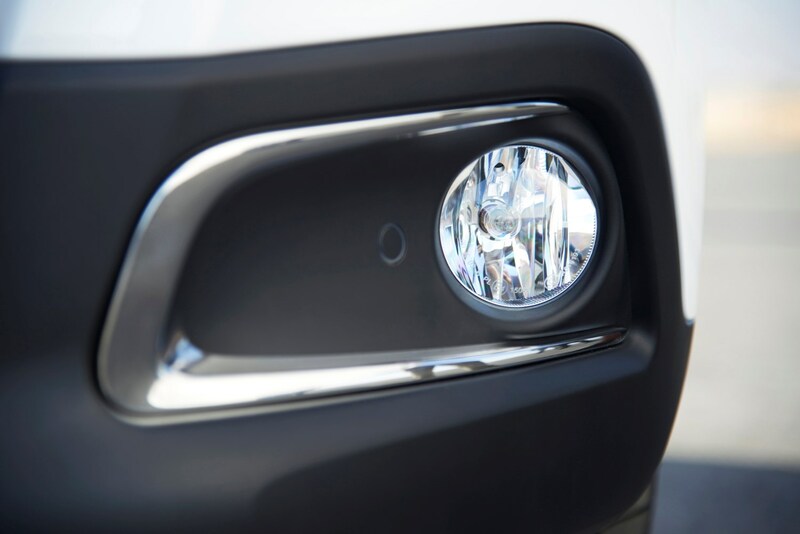 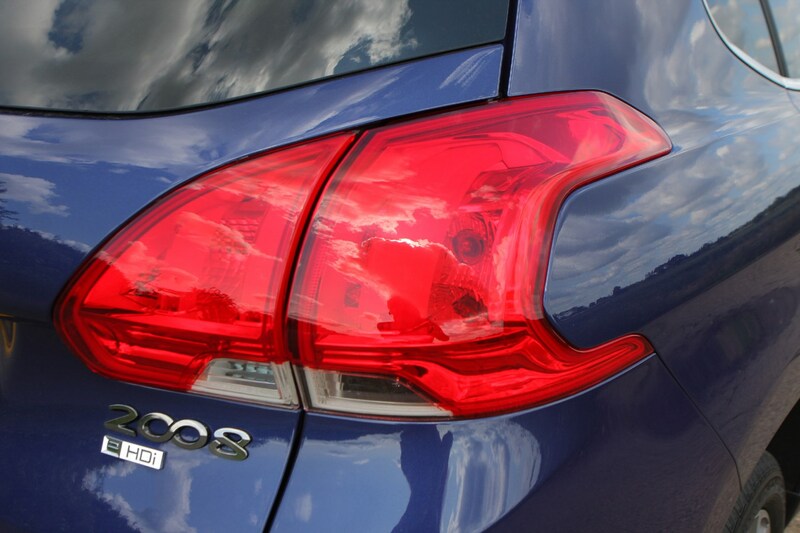 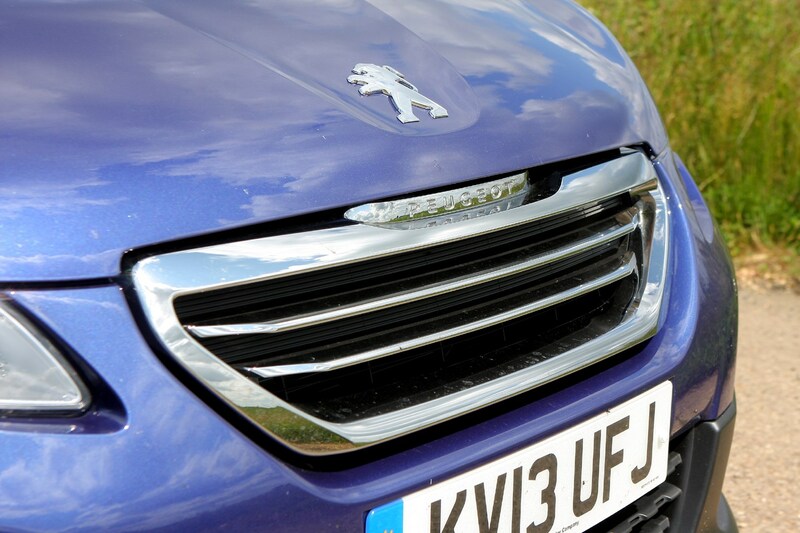 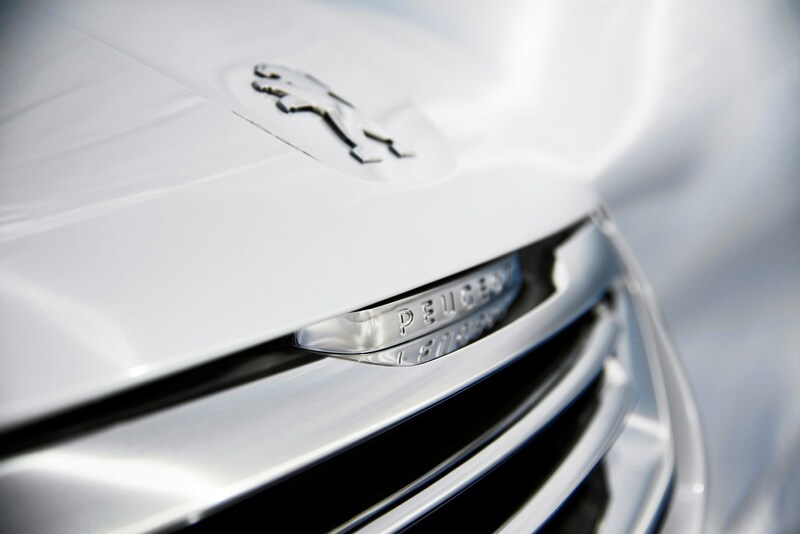 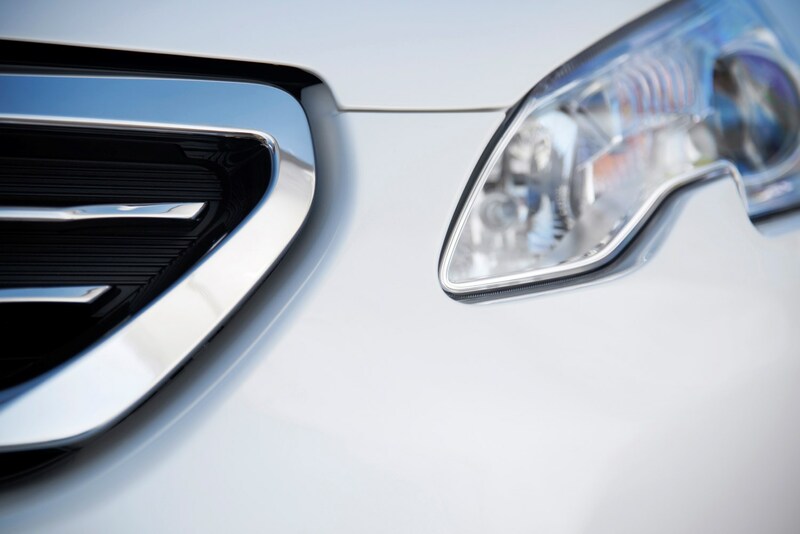 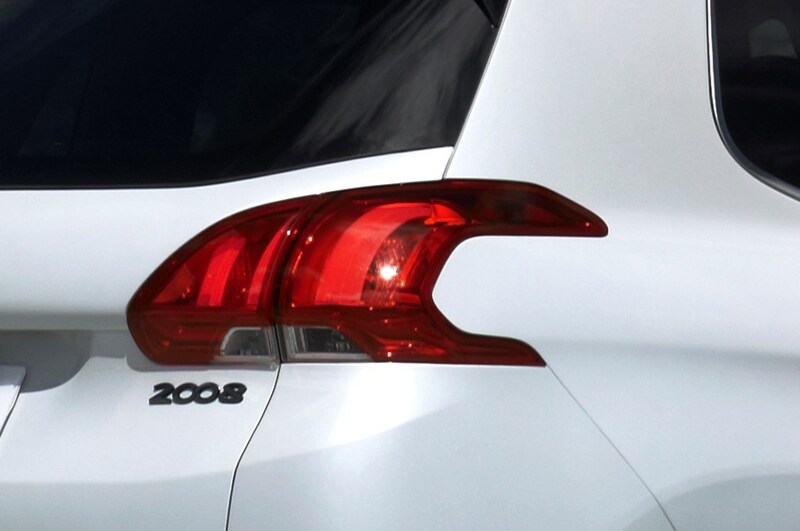 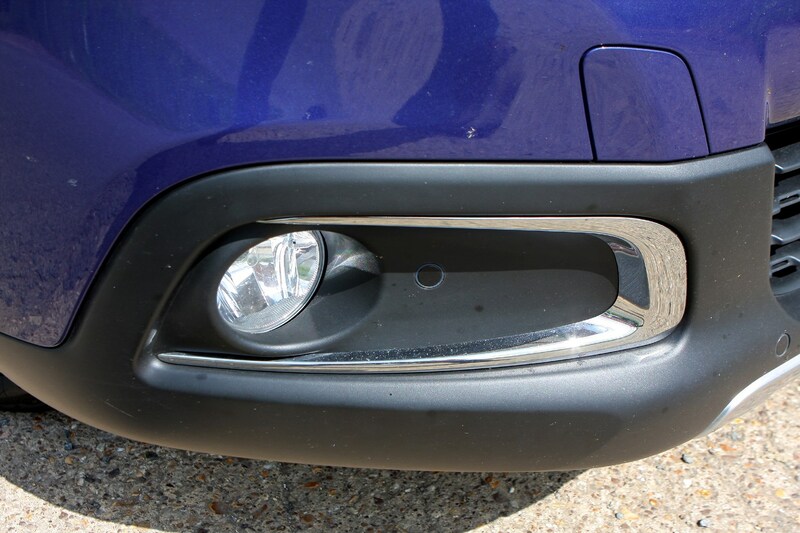 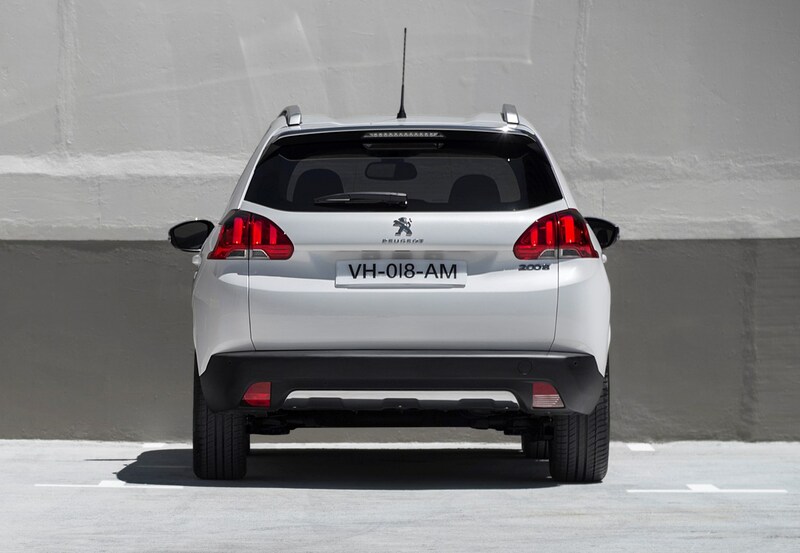 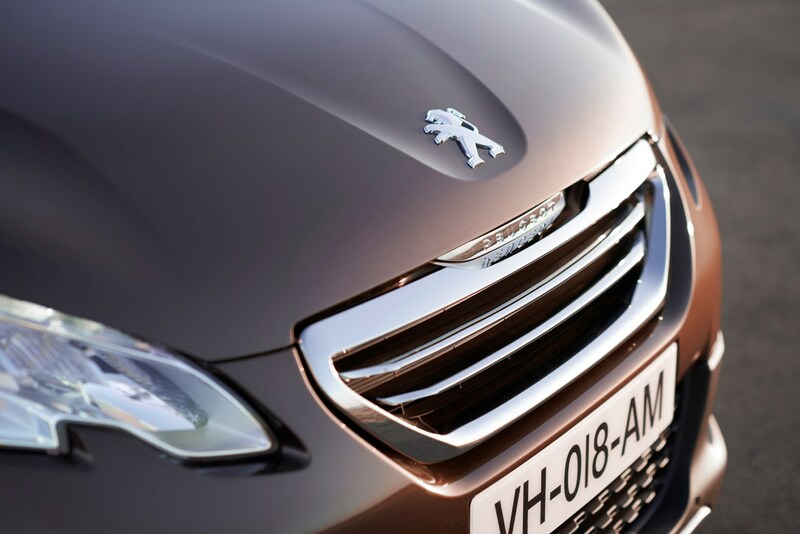 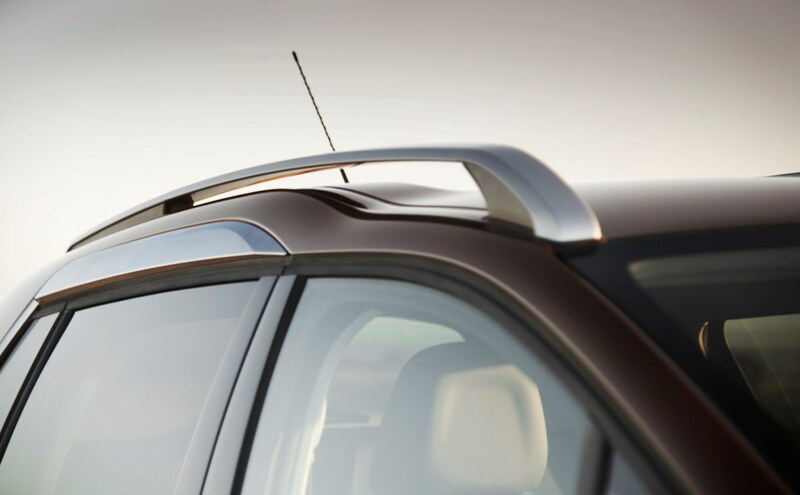 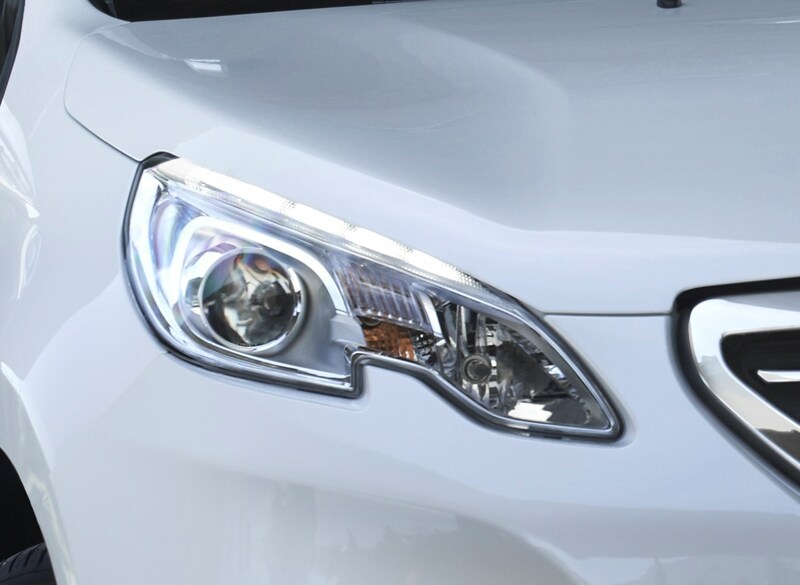 That familiar, and slightly fussy, Peugeot family face is adorned with a bold grille outlined in the shiny metal, as are the roof rails, door bottoms and wing mirrors. 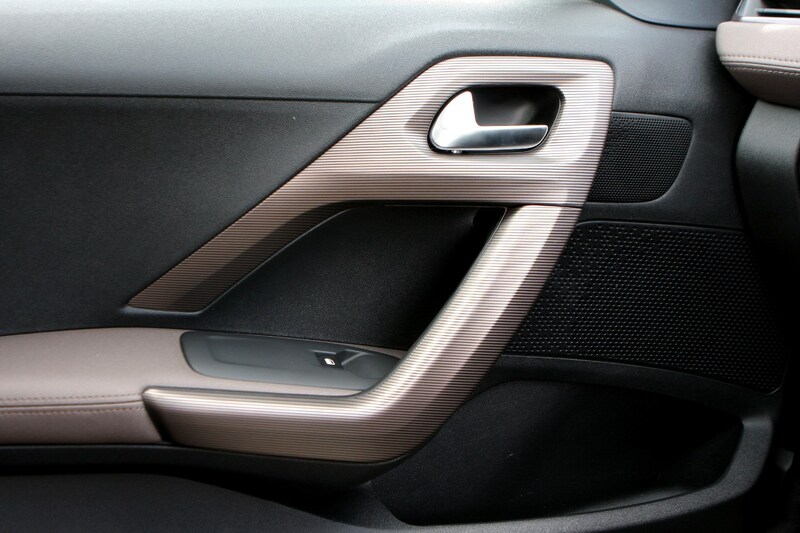 It makes for a rather glitzy ambience to what could otherwise be considered a slightly derivative design statement. 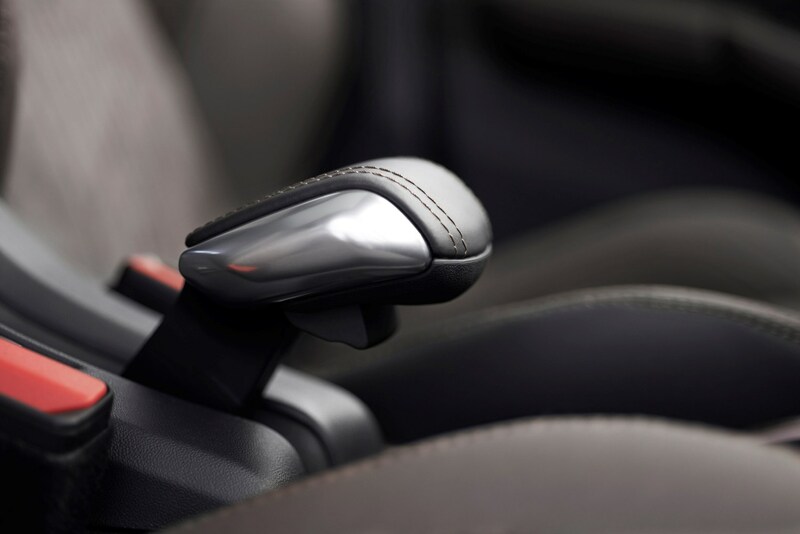 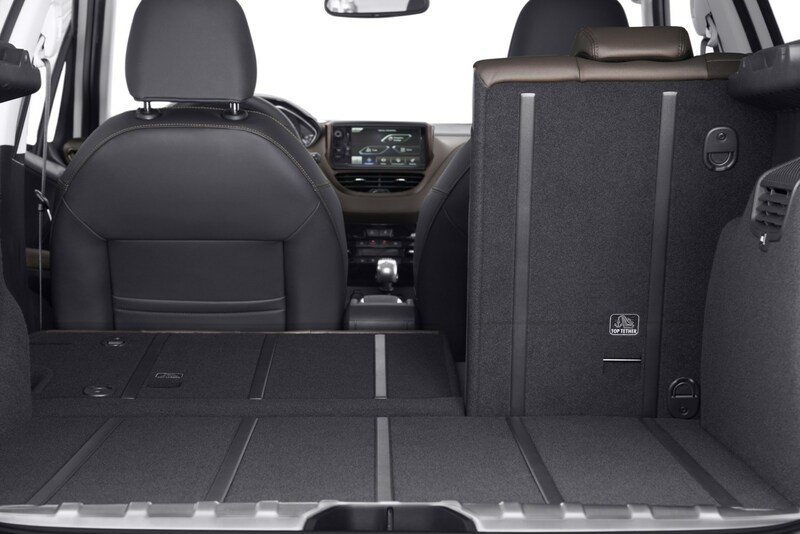 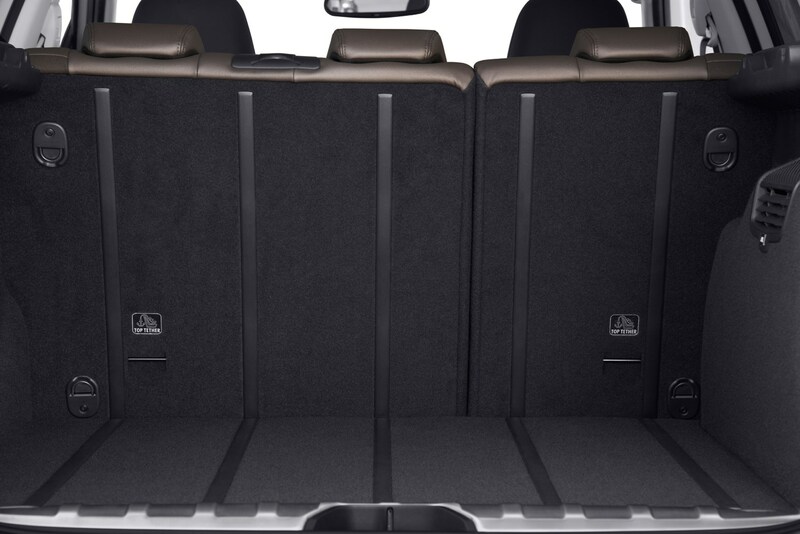 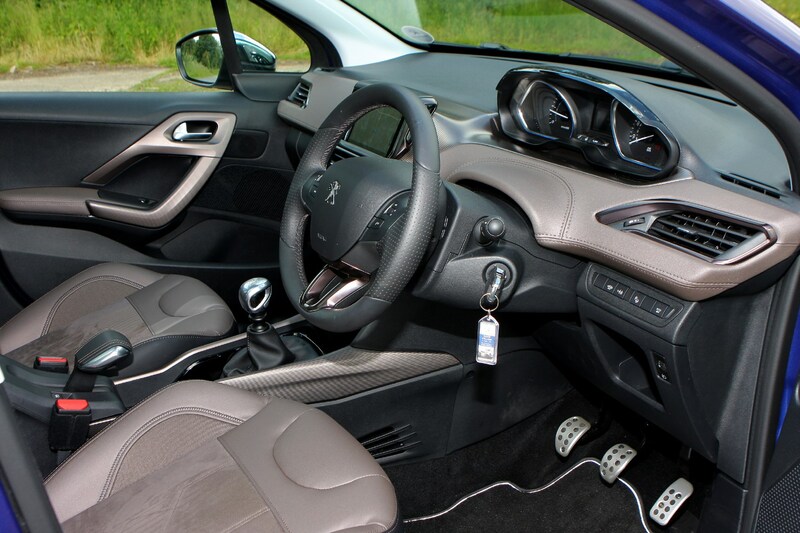 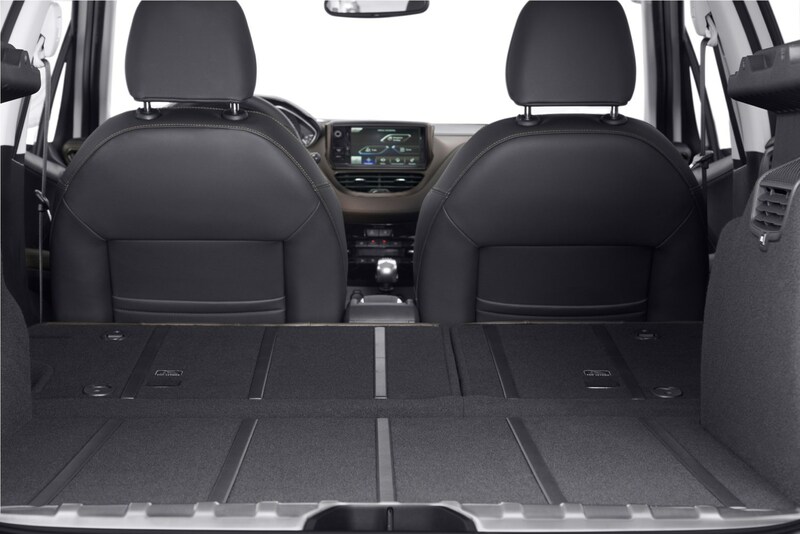 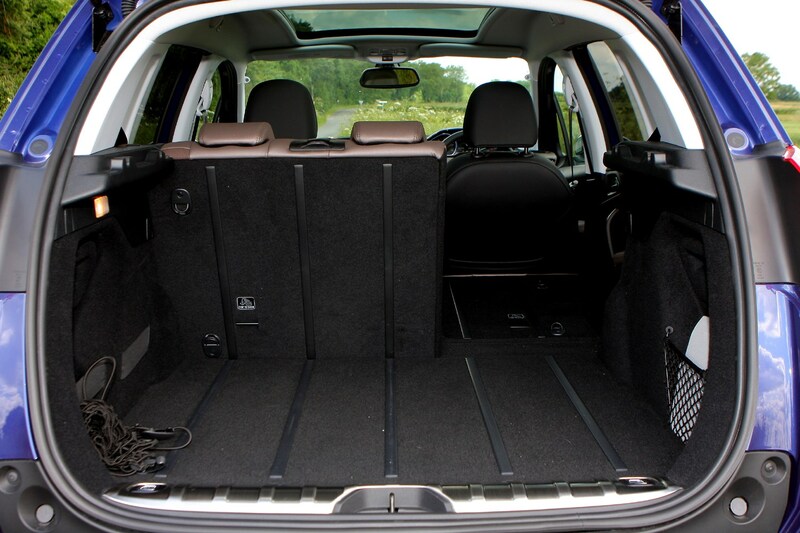 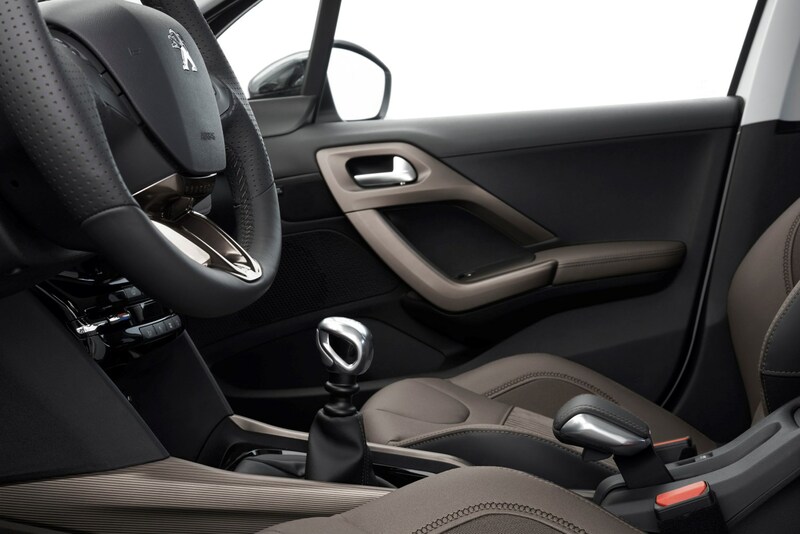 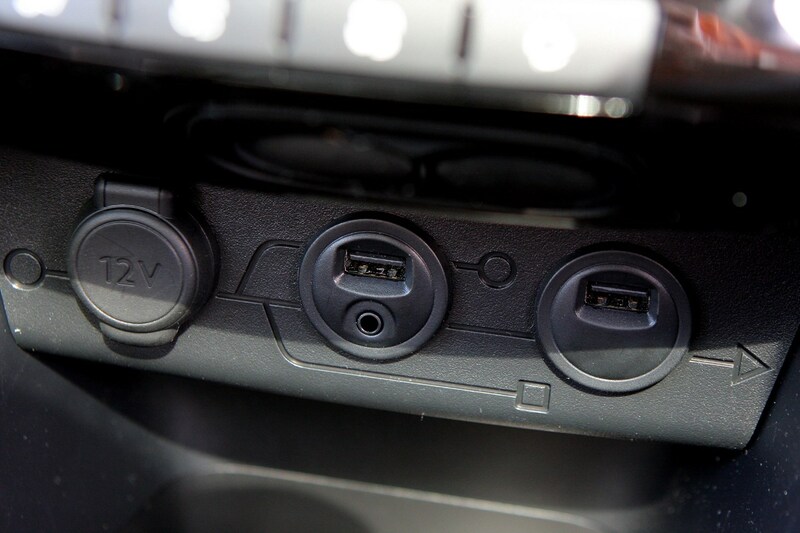 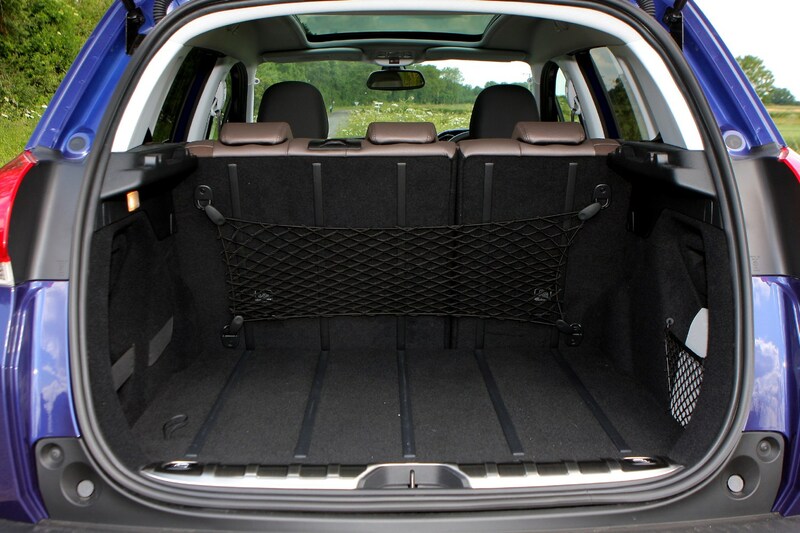 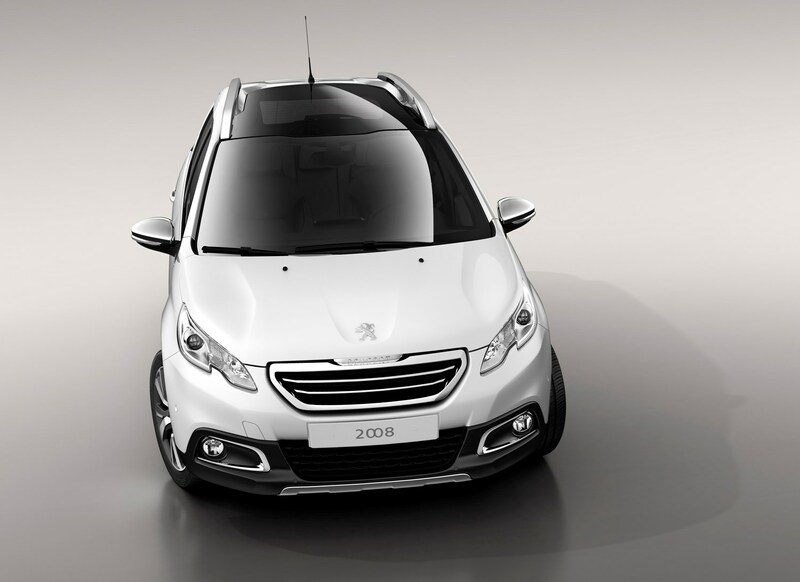 It’s much the same story inside, where the 2008 lifts its cabin design almost lock stock from its smaller 208 brother. 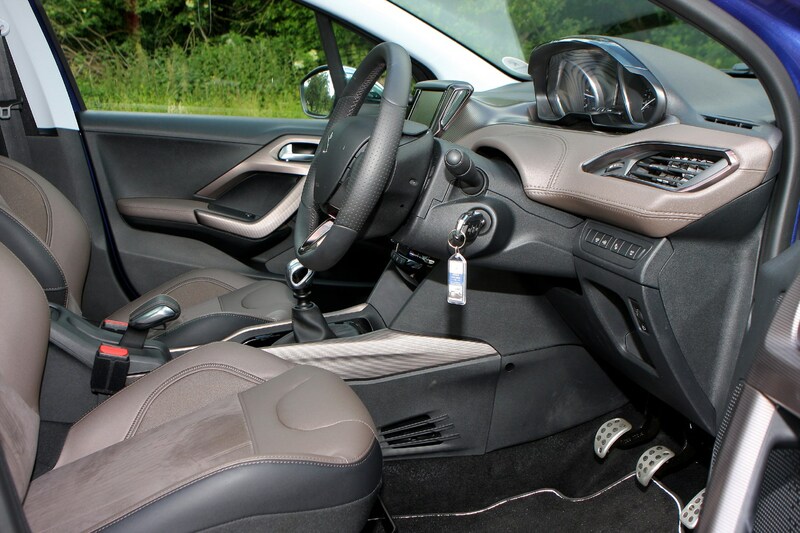 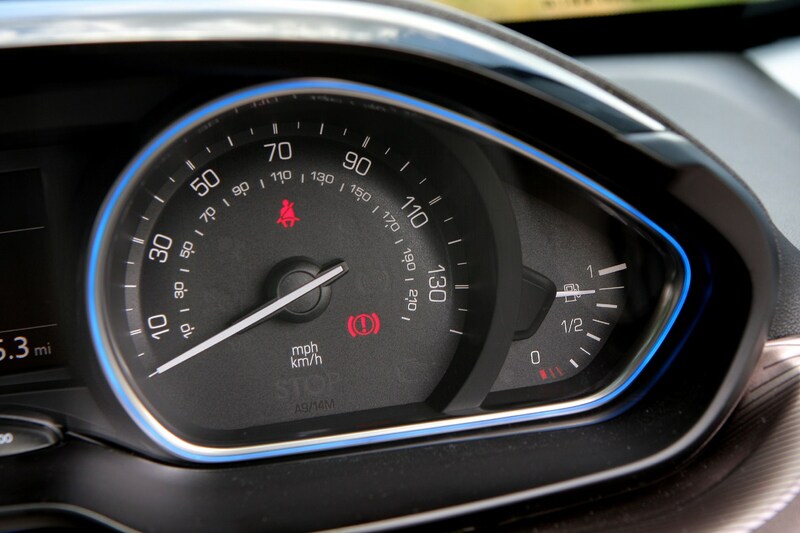 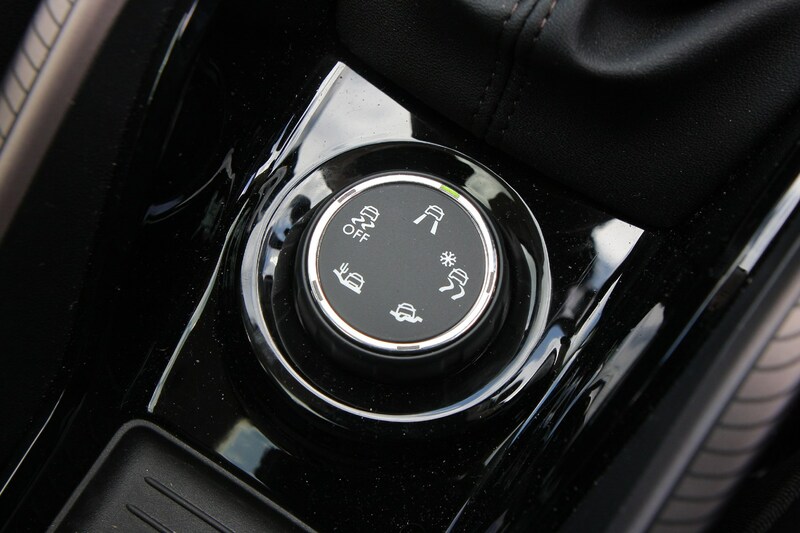 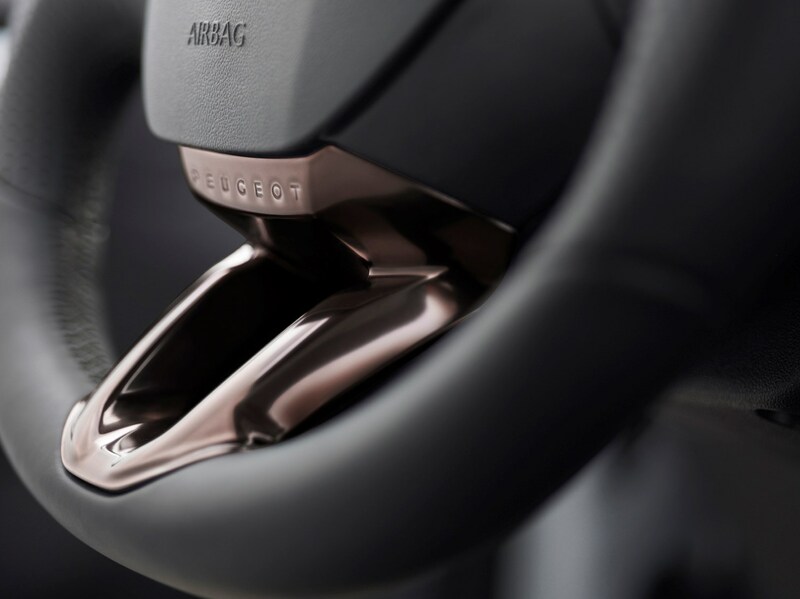 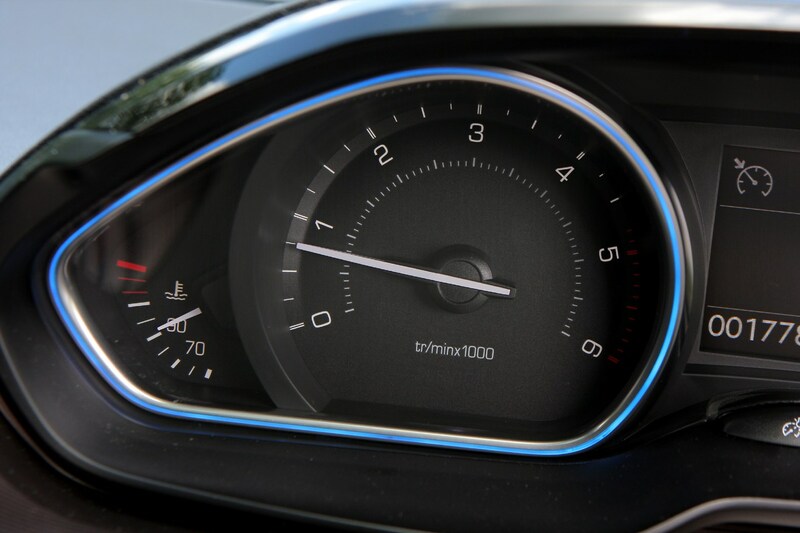 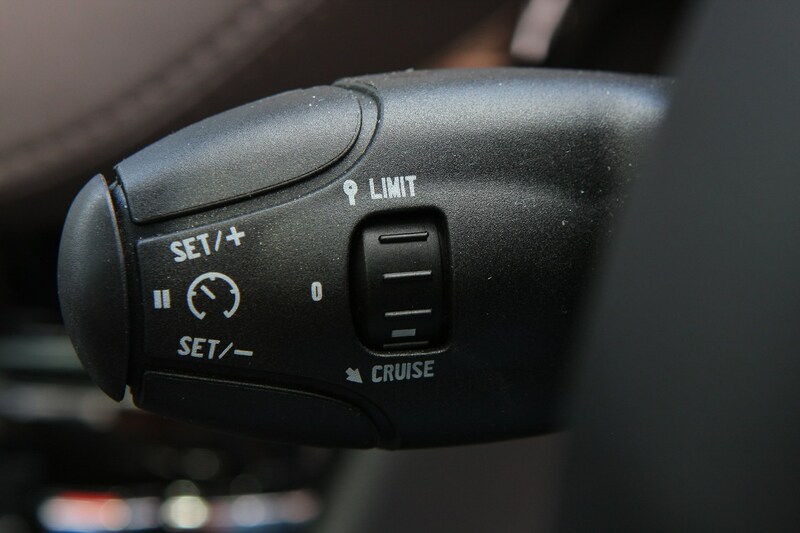 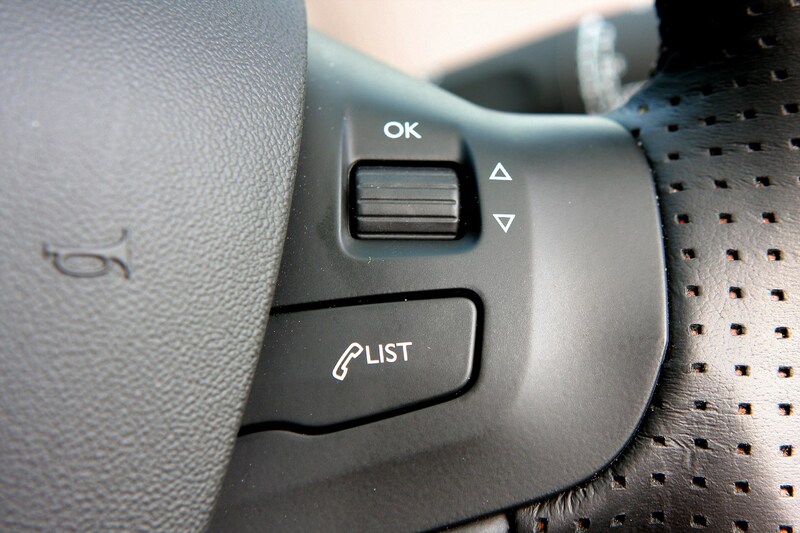 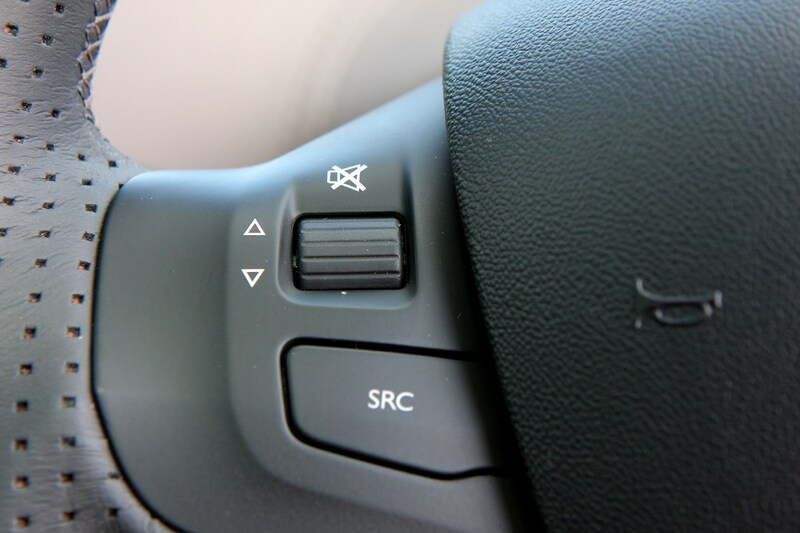 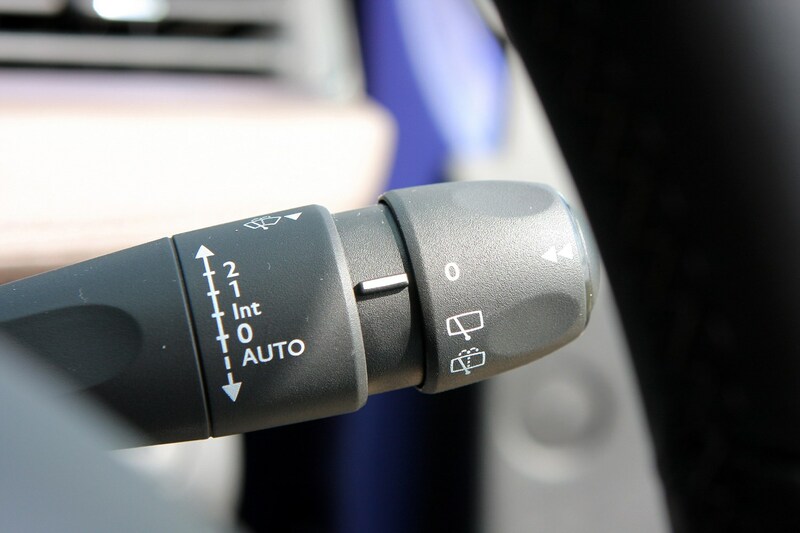 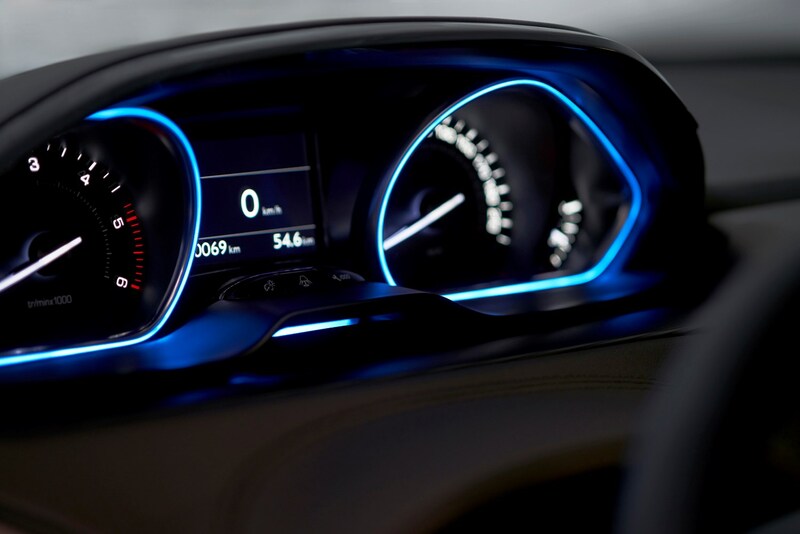 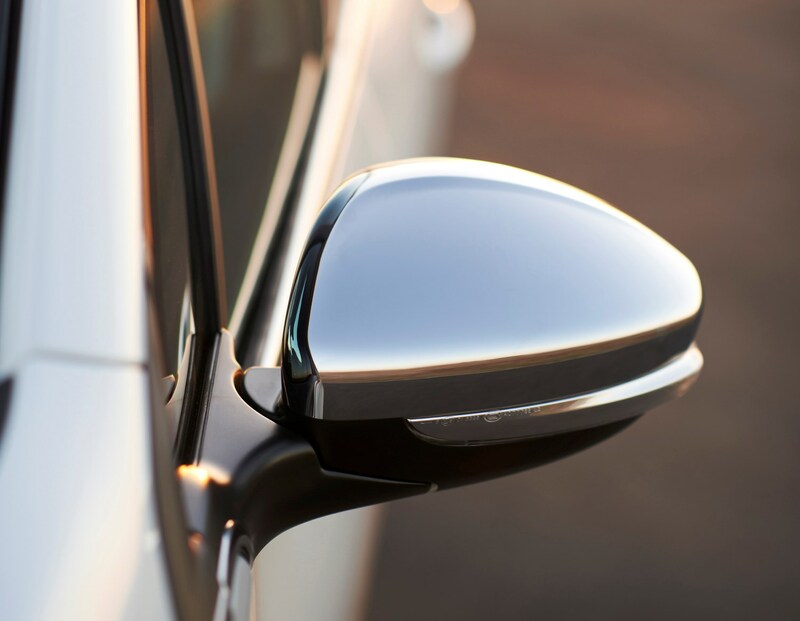 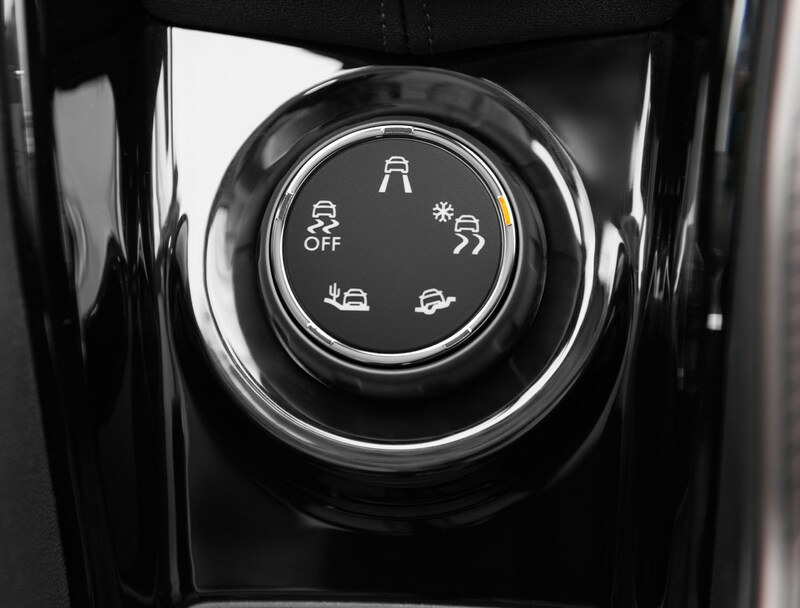 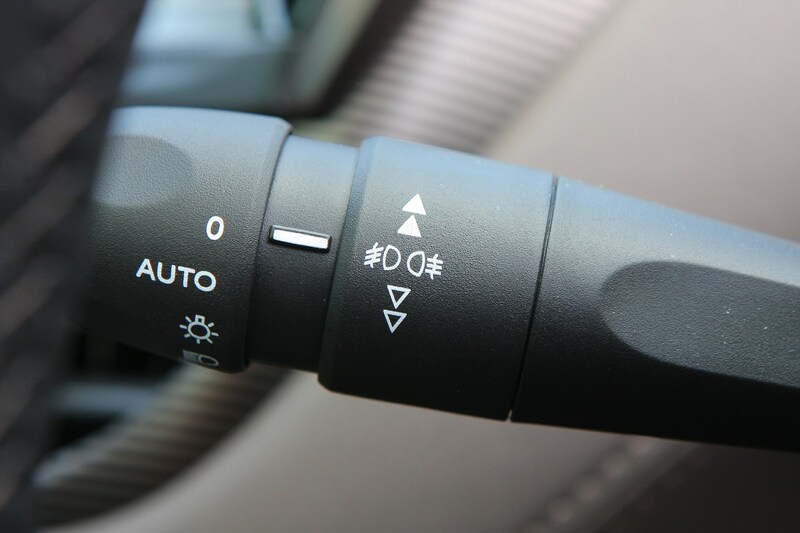 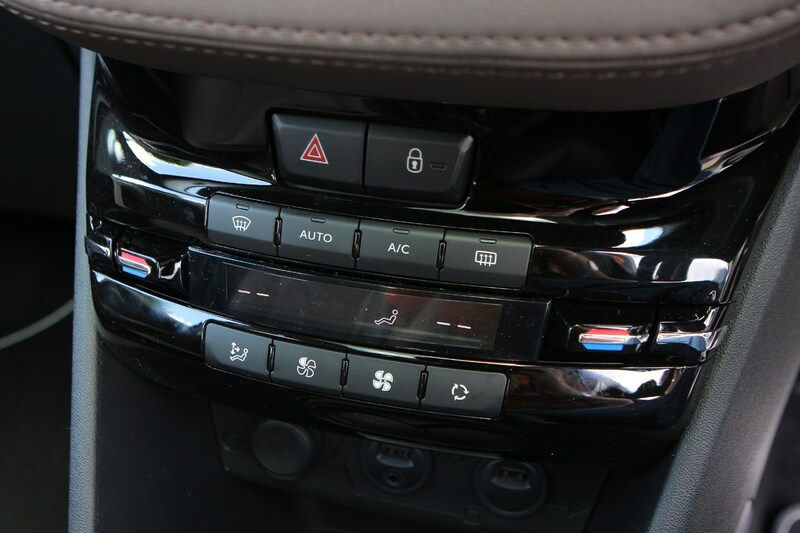 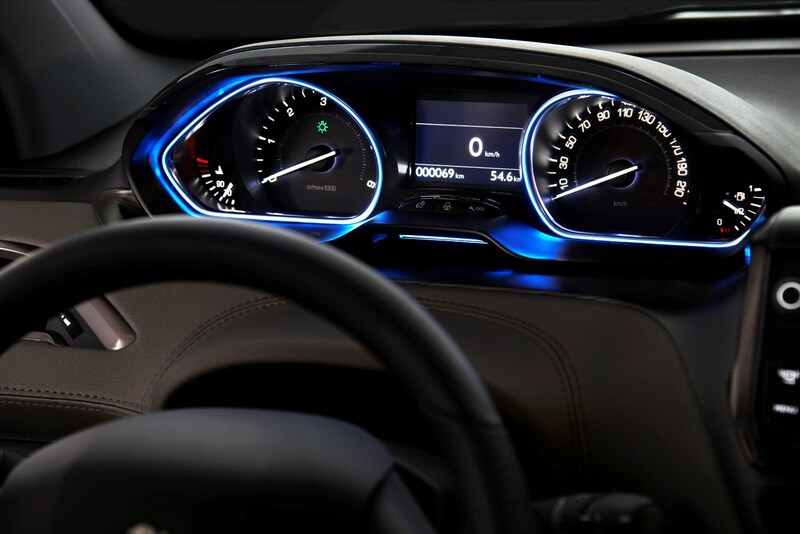 The focus is on the small steering wheel – the one that seems to obscure the instruments for most buyers – and the standard 7 inch touchscreen infotainment system. 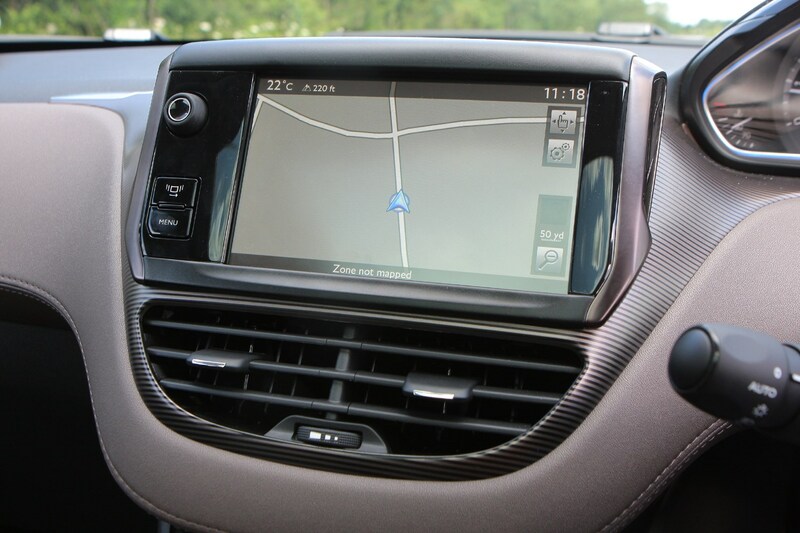 It’s actually very comfortable, and when you’ve spent some time getting used to the operating systems, it’s easy to use too. 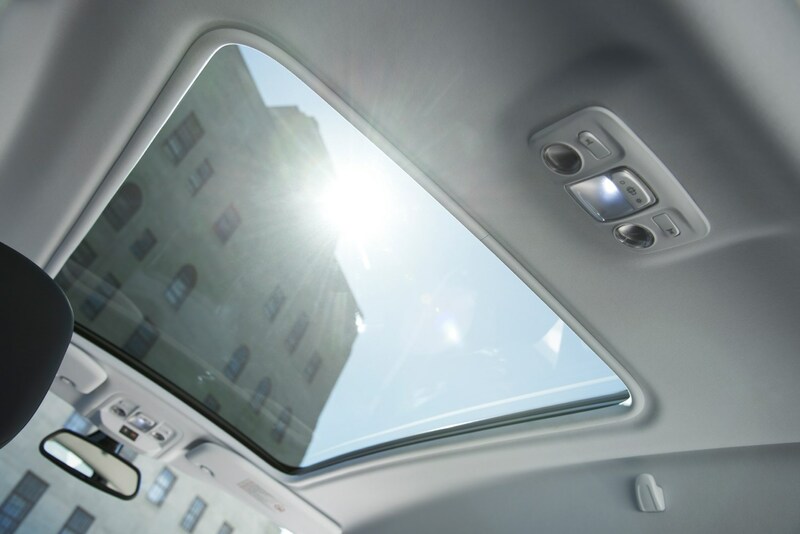 Rear legroom is impressive, but the optional glass roof robs rear passengers of headroom while it’s just not wide enough for more than two adult passengers at any one time. 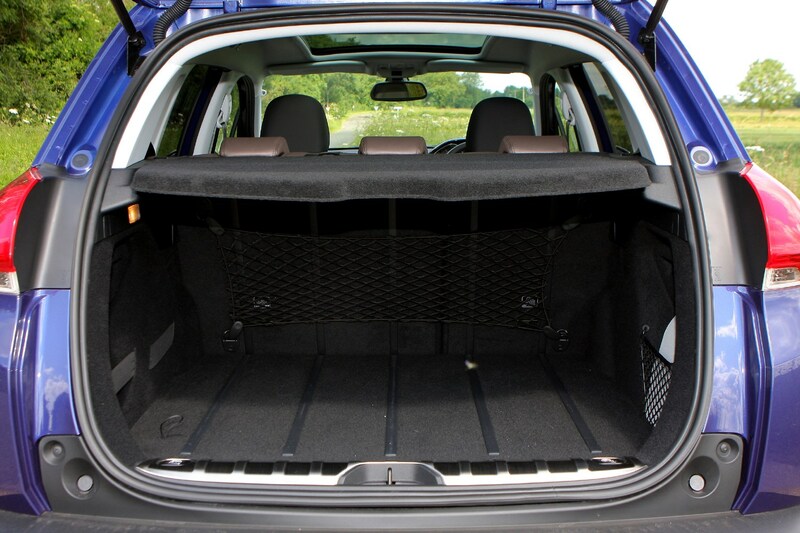 At least the boot is a decent size, expanding from 422-litres to 1,400-litres at the pull of a single lever on the seats. 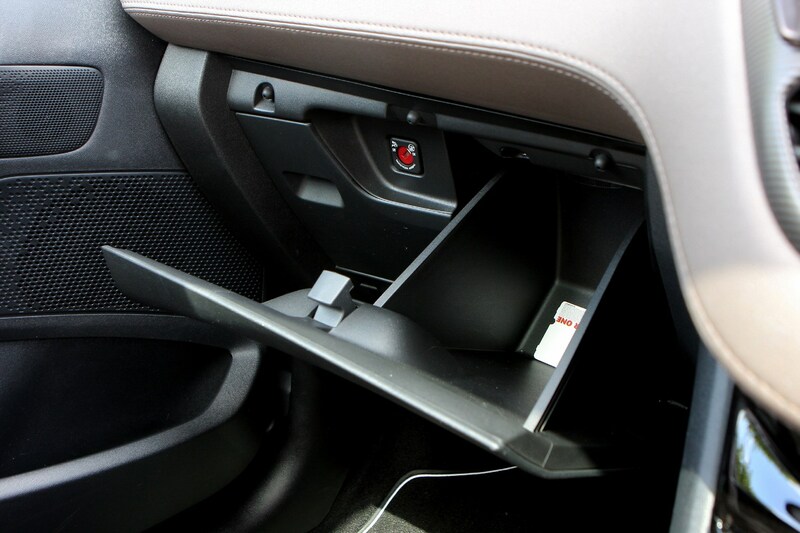 Once in the folded position, the rear bench makes a completely flat floor too. 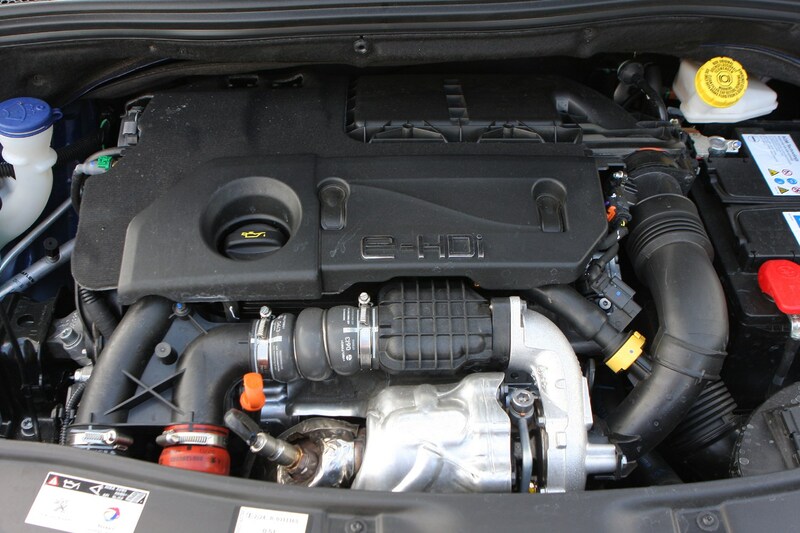 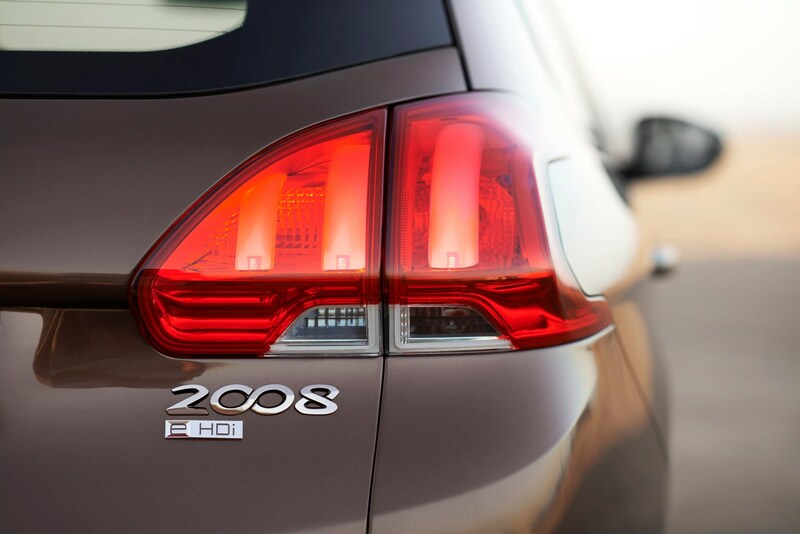 Despite the higher ride height the 2008 acquits itself well on the road, with much of the suppleness you’ll also find on the 208. 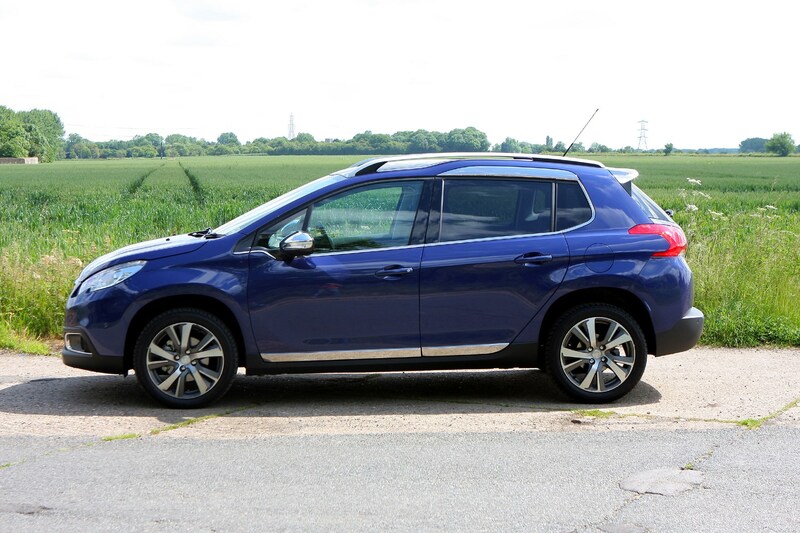 Certainly ride quality is up there with class best, and unlike the Nissan Juke for example the Peugeot 2008 doesn’t roll to extremes when cornering quickly. 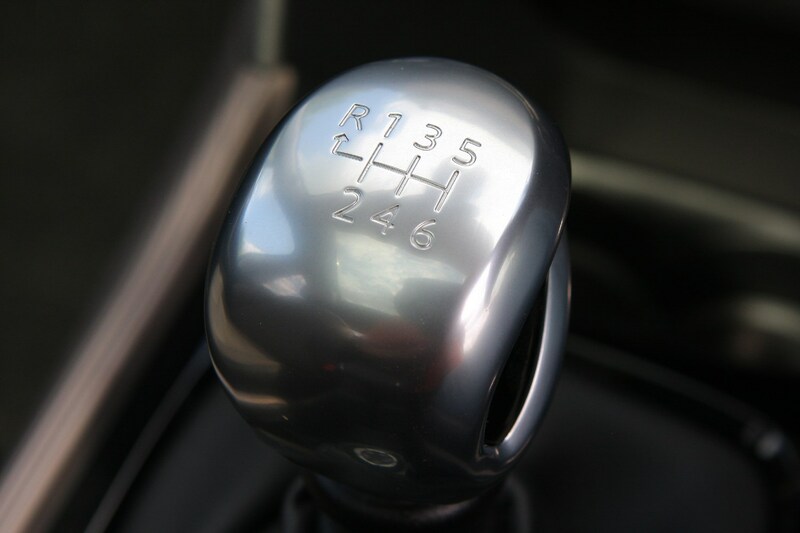 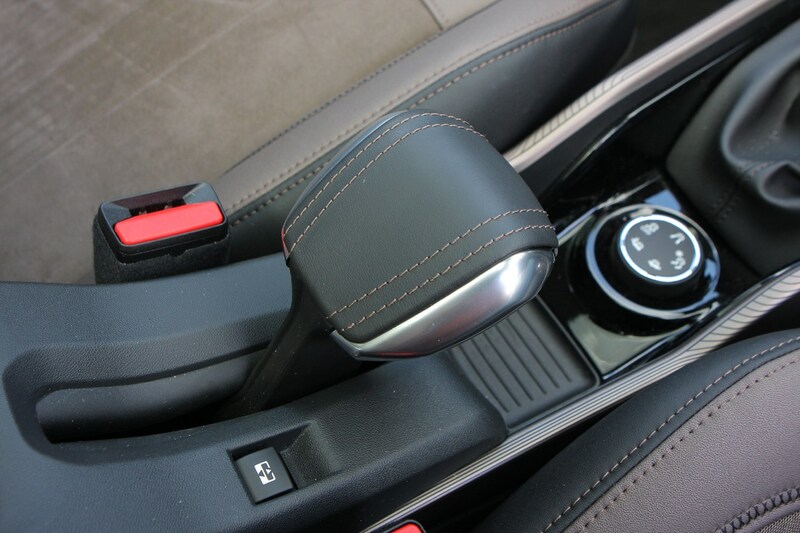 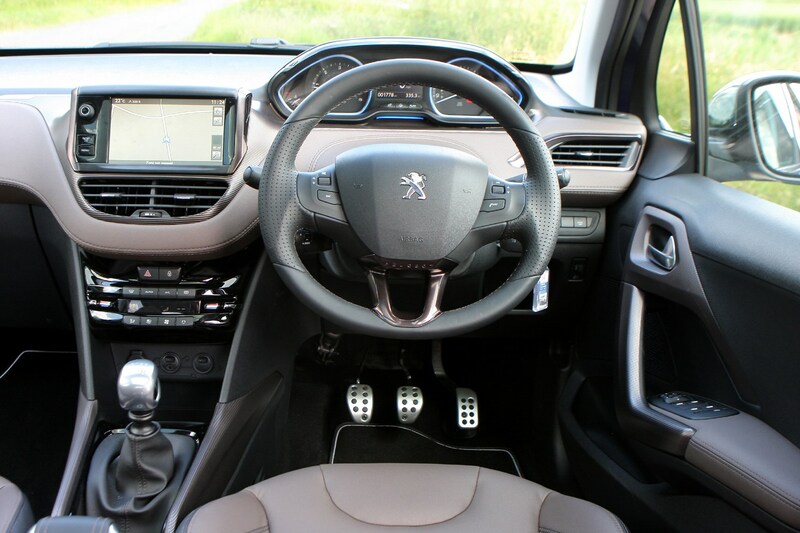 Of course there’s still not much feel through the steering wheel, though it feels heavier than in the hatchback, and the five-speed manual gearbox is anything but precise in use. 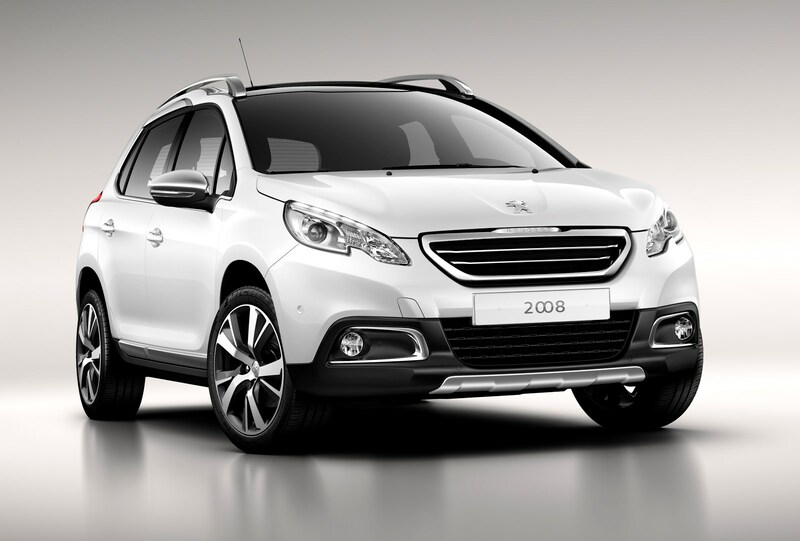 The real good news is that it’ll only cost an extra few hundred pounds over the five-door 208 hatchback though. 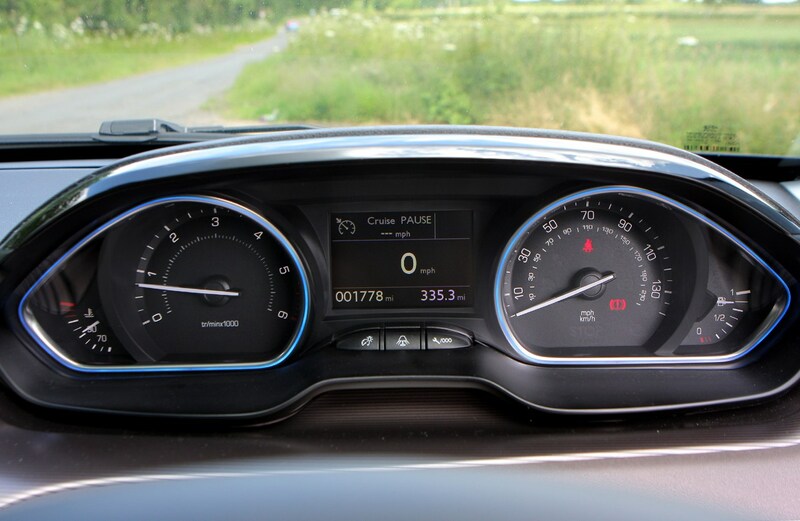 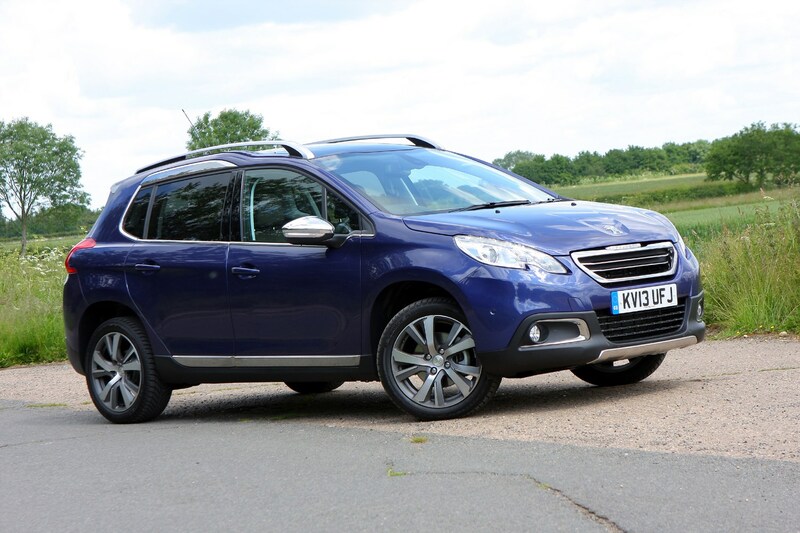 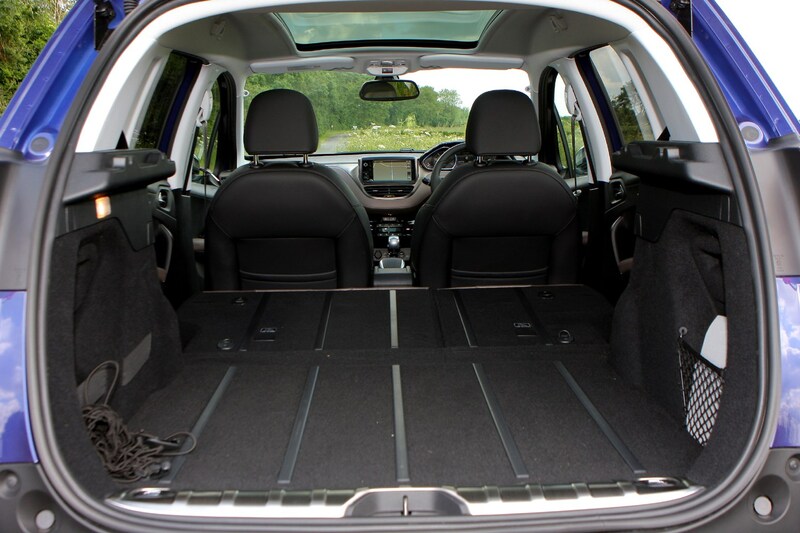 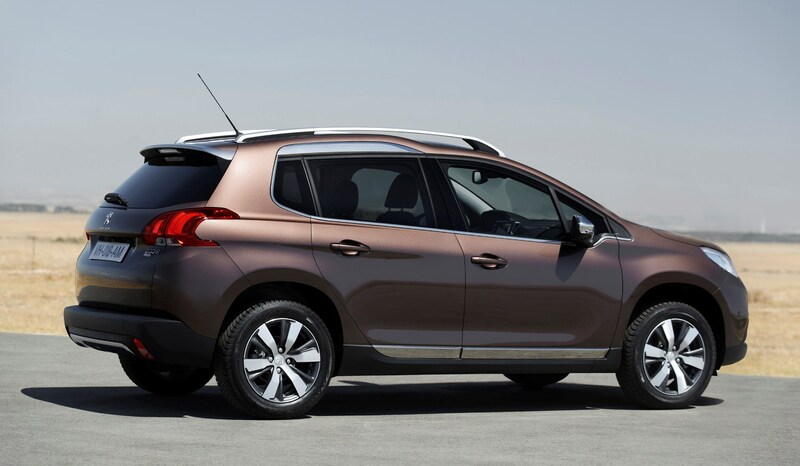 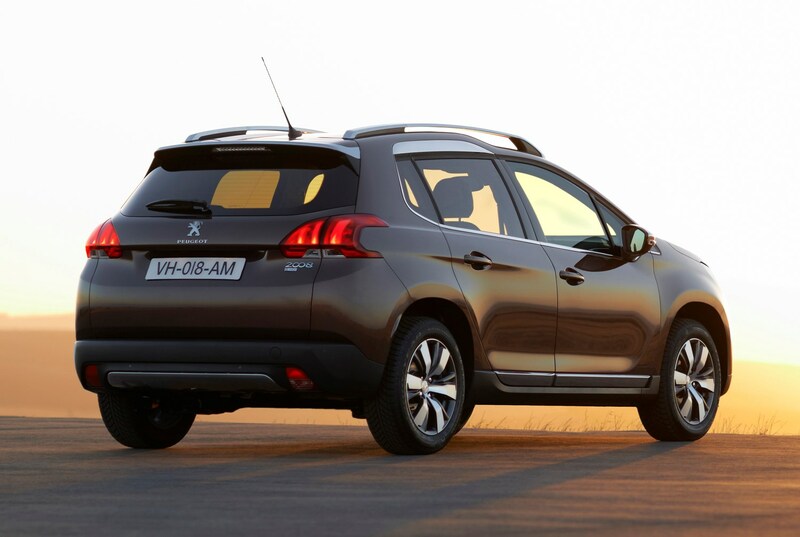 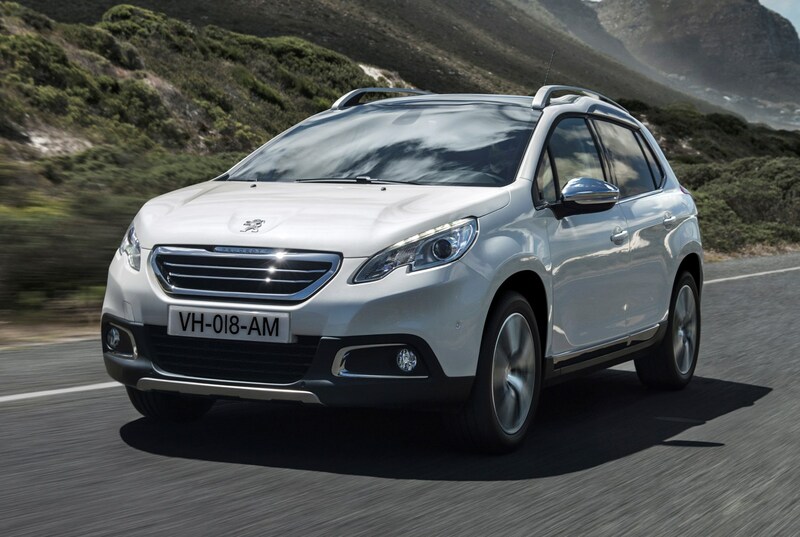 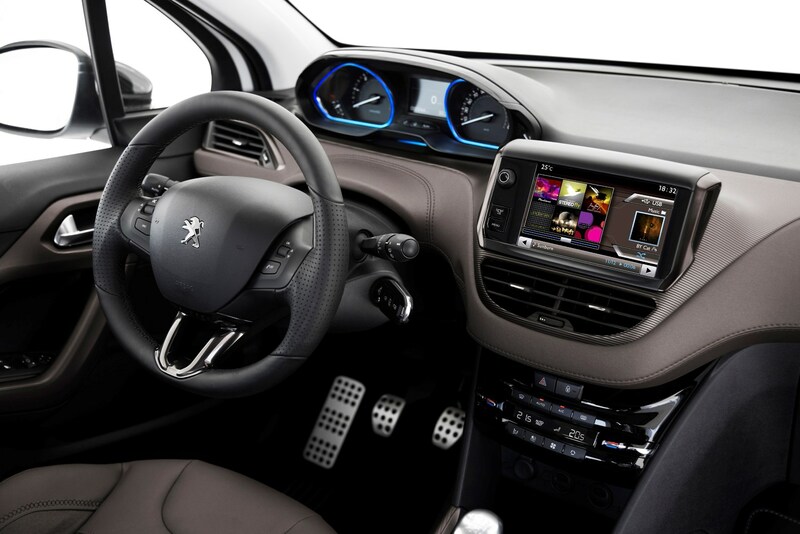 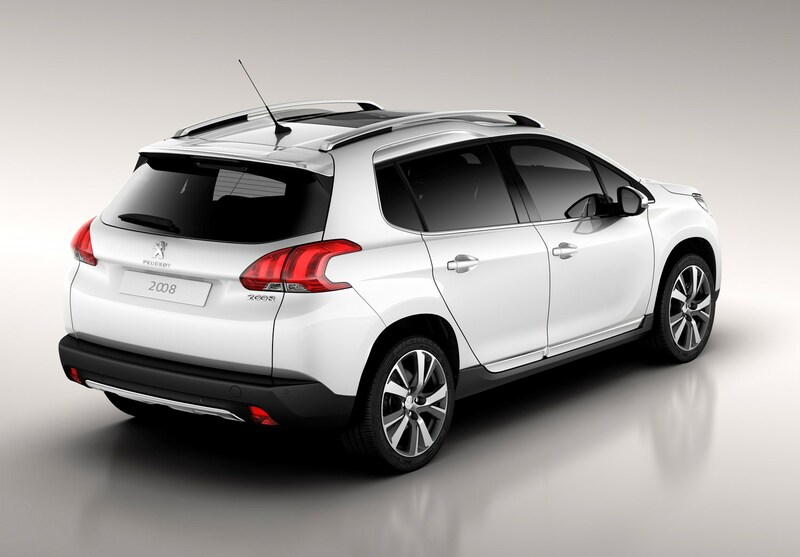 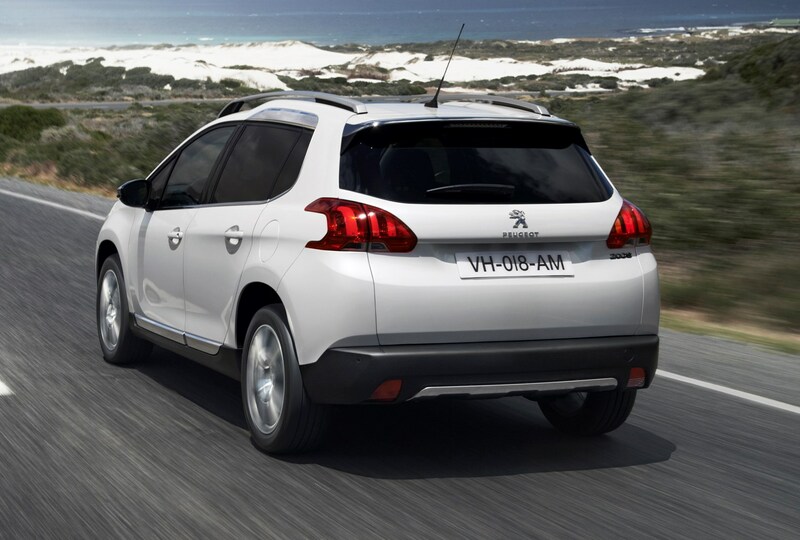 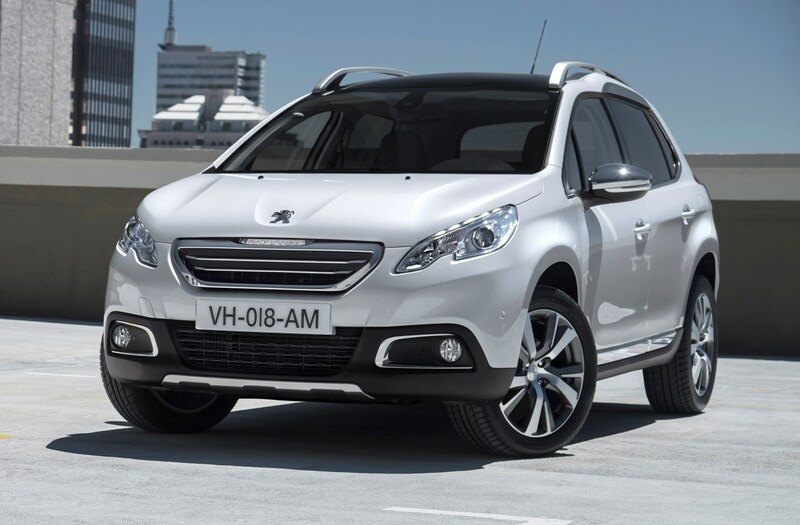 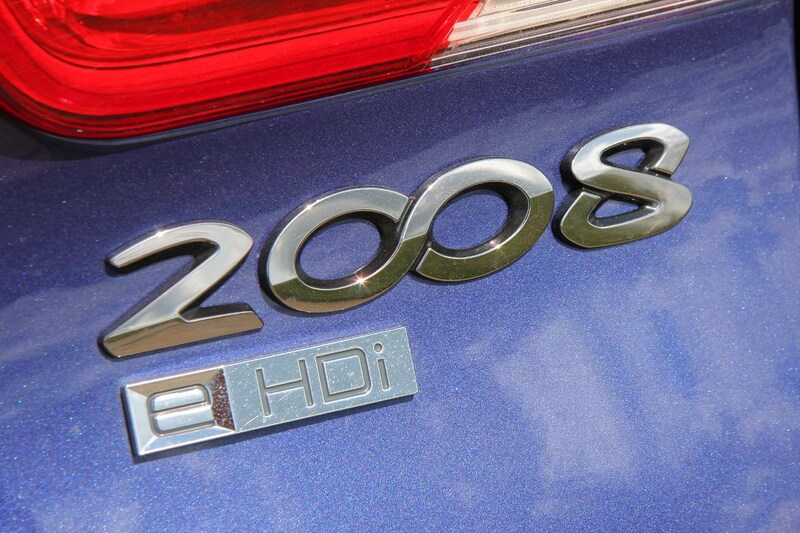 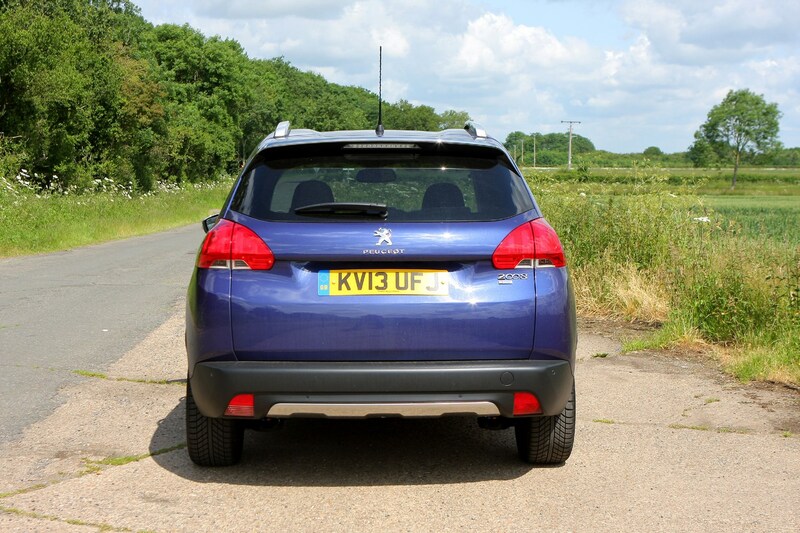 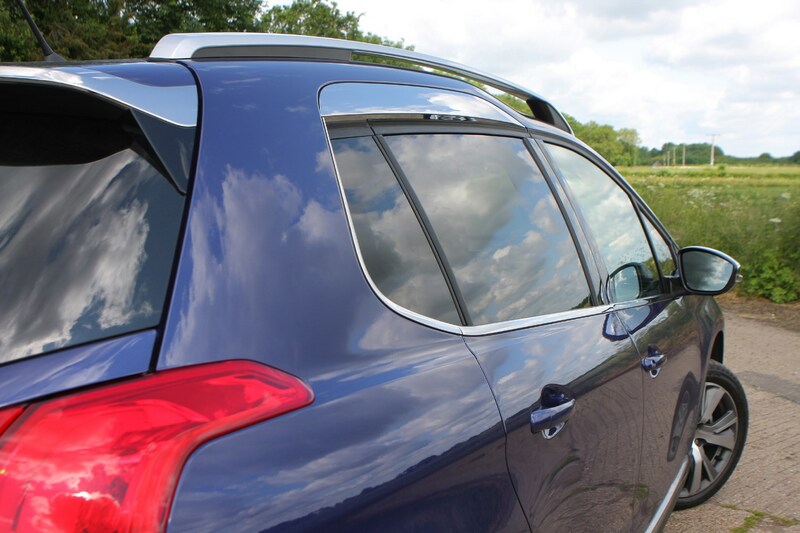 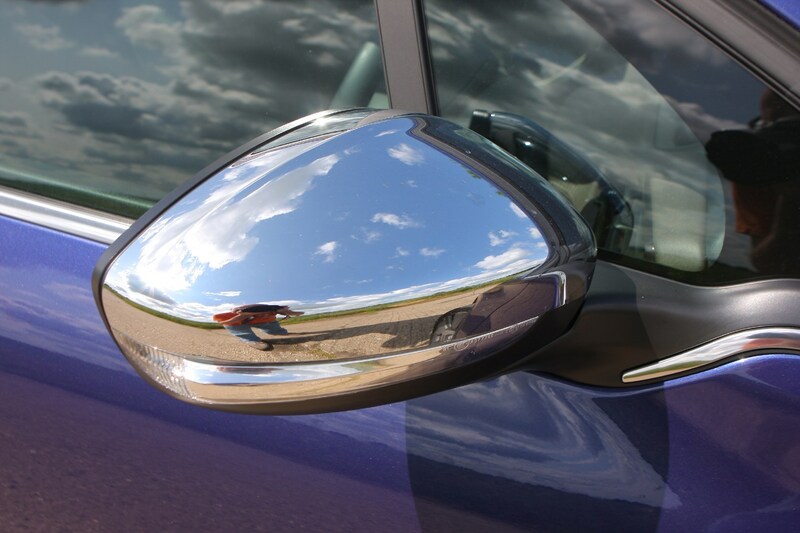 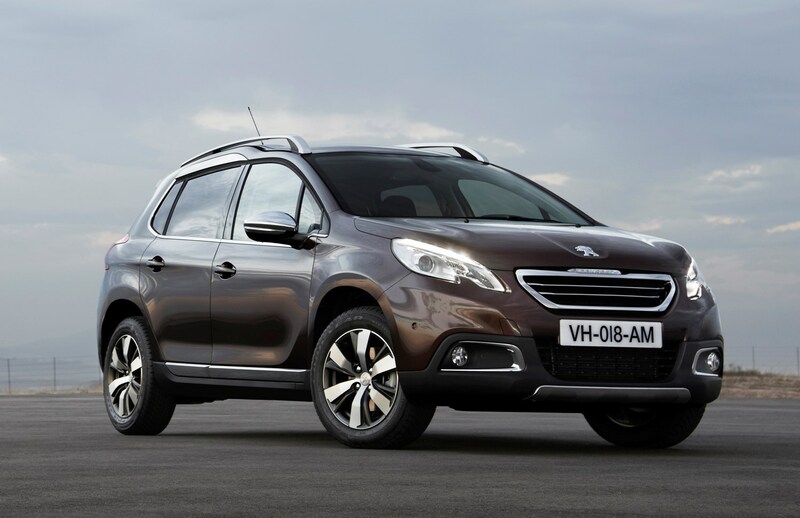 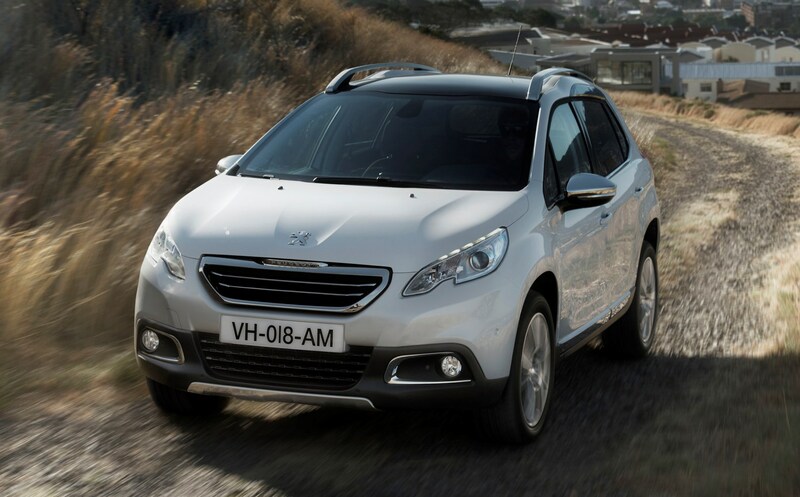 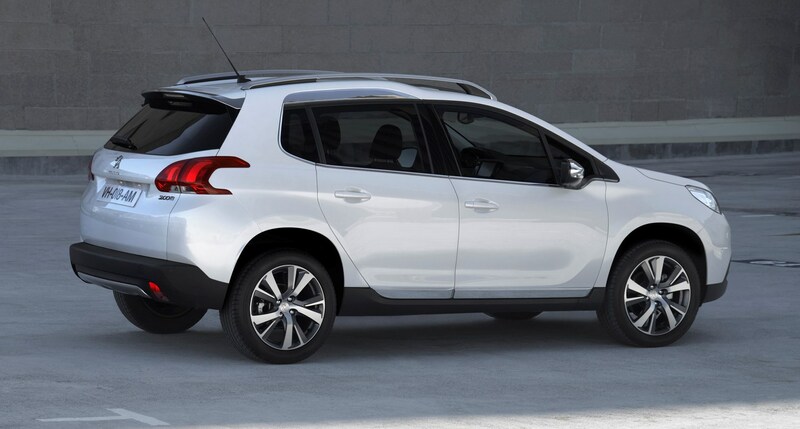 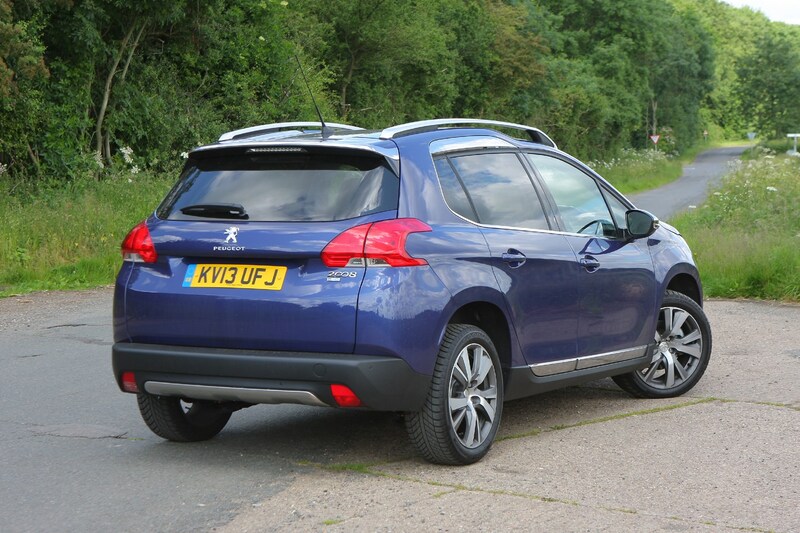 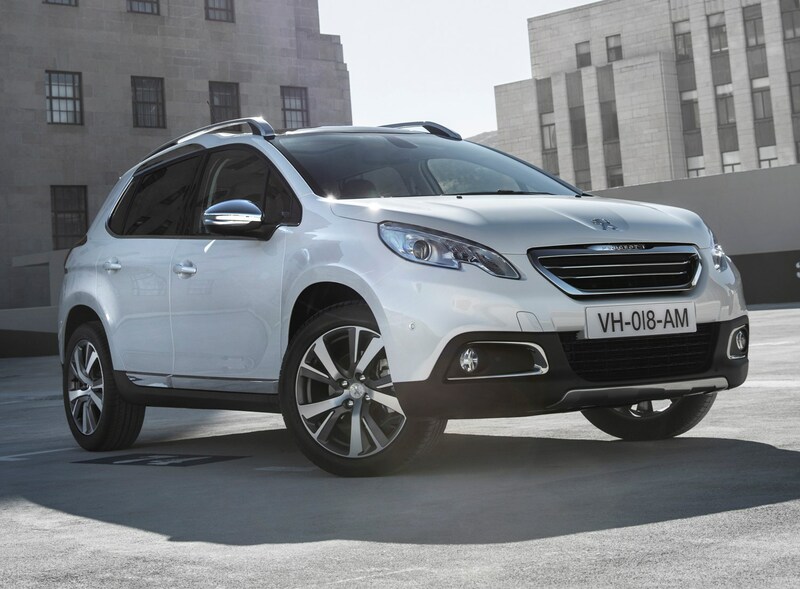 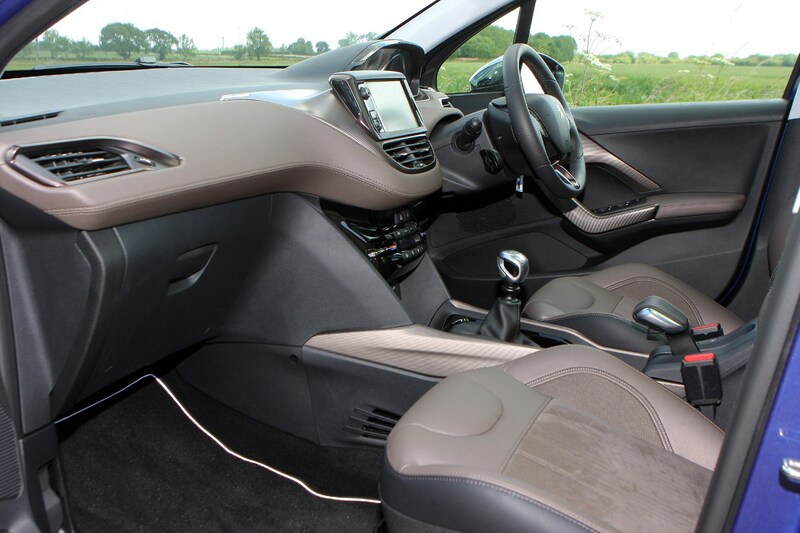 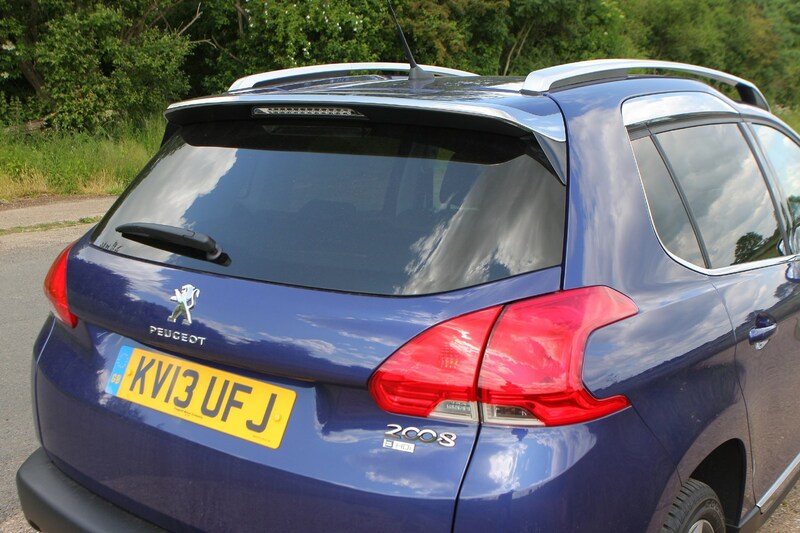 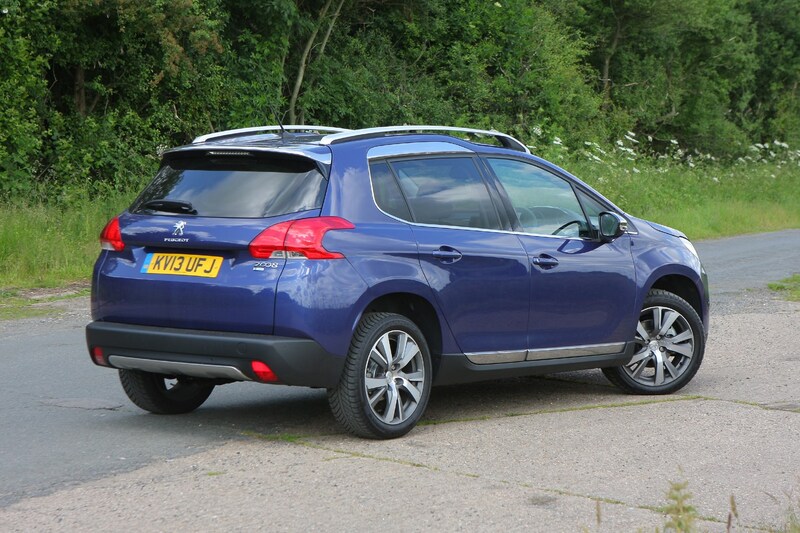 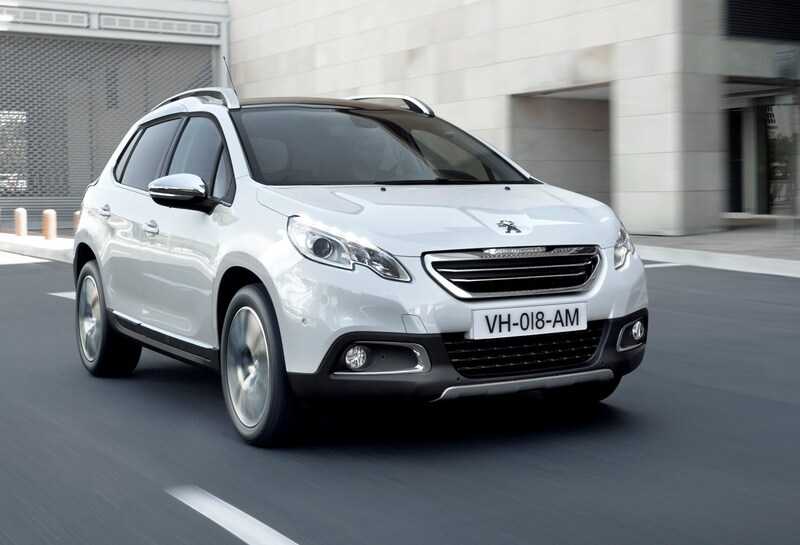 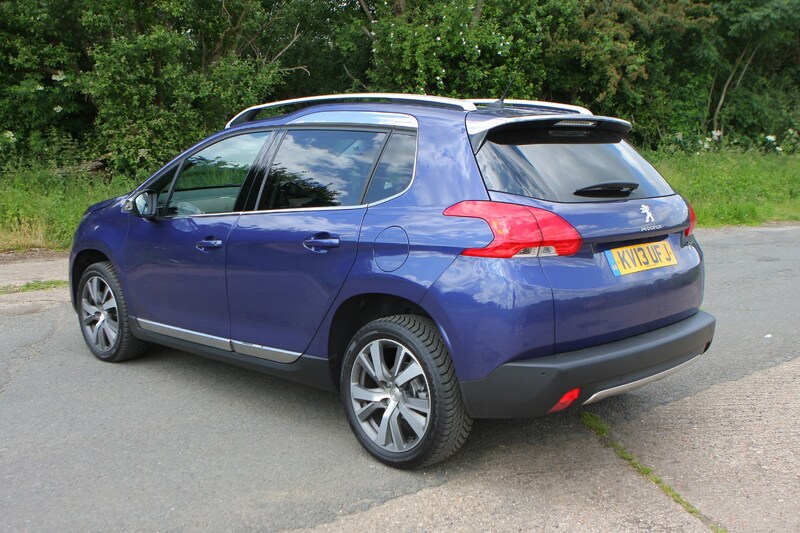 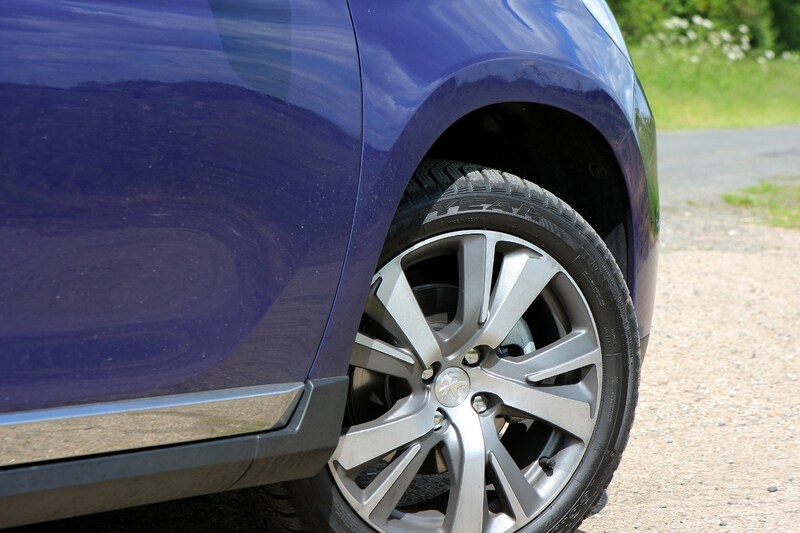 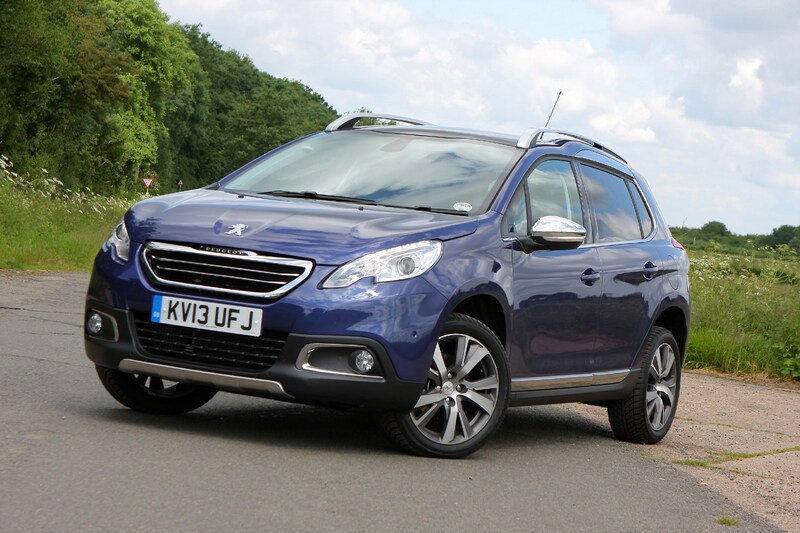 Read the full Peugeot 2008 review to see if it’s worth the price premium.